Thank you to all of our RMECC 2019 presenters! Follow us on Facebook, LinkedIn, and Twitter for updates and the 2020 schedule! As the Director of Simple Interactions and Academic Programs for the Fred Rogers Center for Early Learning and Children’s Media, Dana Winters seeks to apply and advance the legacy of Fred Rogers in serving children and their helpers. Through projects involving children’s helpers across many diverse settings, including child care, school systems, community programs, residential care, and children’s hospitals, she communicates and reflects what is simple and deep about work in service of children and their families. Dana supervises the Center’s research lab, Incubator 143, which partners with educators, trainers, advocates, and researchers to focus on identifying and amplifying the simple active ingredient that universally helps serve children—the power of human connection. She joined the Center after serving as the Senior Evaluator for the Collaborative for Evaluation and Assessment Capacity at the University of Pittsburgh’s School of Education, and as an Education Counselor with the Educational Opportunity Centers of Penn State University. Dana holds a Ph.D. in administrative and policy studies from the University of Pittsburgh, a M.A. in education from Indiana University of Pennsylvania, and a B.A. in sociology from Saint Vincent College. Shiza Shahid is an entrepreneur, technologist, investor and impact leader. Shiza co-founded the Malala Fund with Nobel Prize winner Malala Yousafzai, and led the organization as founding CEO. She focused on creating access to high quality education for all children around the world. Shiza launched NOW Ventures in Silicon Valley, in partnership with AngelList, the largest Venture Capital Platform in the world. She invests in mission-driven technology startups, that are solving the world’s most pressing challenges through technology, innovation, and high-growth business models. Shiza is the founder of The Collective, a community of leading entrepreneurs that come together to build collaborative change. Shiza is the host of the new USA Today show “ASPIREist,” which inspires millennials to take action on the issues that matter most. 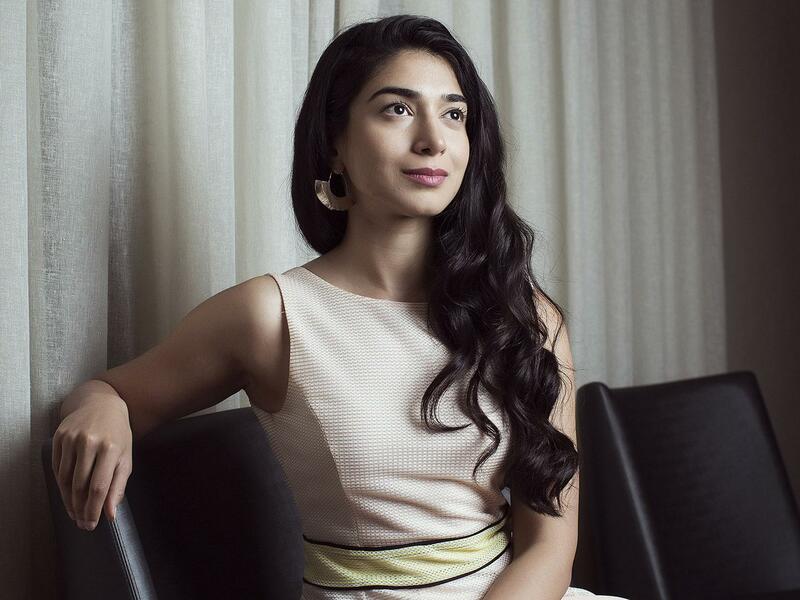 Shiza is passionate about the future of impact through technology; she studied exponential technologies at Singularity University, which is dedicated to applying futuristic innovations to advancing humanity. Shiza also graduated from Stanford University with University Distinction. She was a business analyst with McKinsey & Company. Shiza is renowned for her work, receiving many awards as a thought leader. She was named one of TIME’s “30 Under 30 People Changing the World,” Forbes “30 Under 30 – Social Entrepreneurs” and a Tribeca Institute Disruptive Innovator. She is a member of the WEF Global Agenda Council and has been featured in multiple publications, including Forbes, Fast Company, Elle, Glamour, Town and Country, The Edit, CNN, ABC, Al Jazeera, MSNBC and others. Shiza is a prominent speaker and has spoken frequently at major international events, including Aspen Ideas Fest, Milken Global Institute, Forbes Women, Fortune Most Powerful Women, Inc Women, Women Moving Millions, World Economic Forum and others. For over 35 years, Jeannette Abshire has served as a passionate educator and coach for children, families and professionals of all ages (birth-adult) and all walks of life. With a M.A. in Educational Psychology and, as a licensed educational kinesiology (Brain Gym®) consultant/teacher, Jeannette’s experience and purpose is the field of child development, learning differences, sensory integration and drawing out the full potential of each individual through the use of experiential brain integration techniques, movement based learning and multi-sensory techniques fully supported by substantial research. There is almost nothing Jeannette teaches that she has not experienced or is not currently applying in her own life. Her approach to empowering individuals, families and groups to reach optimal performance in all areas of life centers on the importance of the development and growth of the whole person (physical, emotional and chronological age).Jeannette has a successful, positive track record training trainers, parents, and other professionals to discover and express their “genius” or creative uniqueness and “gifts” in a fun, authentic and joyful way. She is compassionate, direct, and has the gift of synthesizing, unifying and bringing the contributions of a group together. When individuals and groups are honored and allowed to “be” themselves, a foundational safe space is created for deep, permanent shifts to occur. 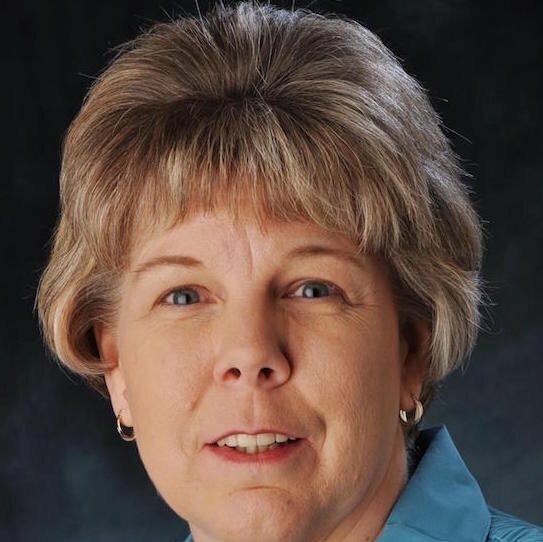 She also serves as a group facilitator for professional organizations and is proud to be adjunct faculty for Adam’s State University and Colorado Mountain College. Jeannette presents dynamic seminars for Early Childhood Educators throughout the state of Colorado, as well as providing virtual trainings worldwide. Jeannette is co-founder/developer of ADVANCED BRAIN GYM® PLUS LLC, previous Supplemental Educational Services provider for the Colorado Department of Education. Heather Aguilar is a Program Associate with Share our Strength Colorado. She has been a professional development trainer with the Cooking Matters for the Cooking Matters for Child Care Professionals (CMCCP) program since February 2015, facilitating CMCCP programming and managing early childhood partnerships across Northern Colorado. Heather has a Bachelor of Science degree in Food Science and Human Nutrition from Colorado State University. Prior to working with Cooking Matters, she has worked in clinical and community settings, including her most recent position as a Nutrition Coordinator at a Head Start in Denver. In this role, Heather worked closely with CACFP to implement healthy eating guidelines for center staff and children. Wendy has been engaged with the Buell Early Childhood Leadership Program and Alumni Network for over ten years. Wendy has a PhD in Educational Psychology from the University of Northern Colorado. Her dissertation topic was on how social capital has a unique role in professional development settings for early childhood professionals. In addition, Wendy has also contributed to multiple state and national presentations and publications ranging in issues from pedagogy as it relates to student’s sense of safety, on teacher change as a result of teaching for transformation, or regarding adult leadership learning in the field of early childhood. Wendy has a Masters in Child, Family, and School Psychology from the University of Denver emphasizing early childhood systems and policy and a B.A. in Psychology from the University of Northern Colorado. I am a trainer and coach for Expanding Quality in Infant and Toddler Care and a trainer and coach for the Pyramid Plus Approach. I completed certificates in Advanced Infancy and Early Childhood Education Coaching. I am a trainer for the Strengthening Families Protective Factors Framework. I am large childcare center director qualified by the State of Colorado Department of Human Services and have a level 6 in Colorado Shines. I have a Colorado Vocational Credential for Early Childhood Education and a trainer approval through the Early Childhood Trainer/Training Approval System of Colorado and teach Early Childhood Education college classes. I have a Master's degree in Educational Administration & Policy Study and a Bachelor’s degree in Human Development and Family Studies. I am active in Reflective Supervision. I am passionate about infants, toddlers, and those who care for them and promote resiliency and emotional competency for them. I am a huge children’s rights advocate. David J. Atencio is an Associate Professor in the Department of Individual Family & Community Education in the College of Education and a faculty member of the Family and Child Studies program. He holds the Bachelor of Science with honors in Psychology from the University of New Mexico and the Doctor of Philosophy in Psychological Studies in Education with a concentration in Child & Adolescent Development from the Graduate School of Education at Stanford University. His research examines issues related to self-system development such as the development of self-regulation and motivation in young children, professional dispositions, as well as mindfulness and resilience factors in people’s orientations to experience. For the past three years his research team has focused on understanding the important association between children’s emergent self-regulatory capacity, executive functioning, readiness for learning and the impact of mindfulness-based and Social Emotional Learning interventions for children and early childhood professionals. The current research project is funded by the Thornburg Foundation. His second area of study focuses on early childhood professional development. In this area, he has been an active member of the New Mexico Early Childhood Higher Education Task Force and has coauthored major revisions to the state early childhood teacher competencies, statewide syllabi, and teaching licenses in New Mexico. Current projects examine the intersection of teacher’s professional dispositions, mindfulness, compassion, resiliency, and risk for job burnout. David also recently served on the national advisory panel for the Dual Language Leaner Early Childhood Teacher Competencies project and coauthored the report from that project. His current work in this area focuses on developing an assessment of professional dispositions of early childhood professionals working with dual language learners. Isabel Baker, M.A.T., M.L.S., started The Book Vine for Children over 30 years ago. With experience as a librarian and a passion for getting good books into the hands of children, Isabel has worked to grow The Book Vine into the nation's premier selector of children's books for preschool and infant/toddler programs. Isabel presents at education conferences and conducts literacy trainings all over the United States. Jenny Barkac is an Educator working with teachers and administrators to approach emotional regulation proactively. Teaching strategies to encourage positive instructional and behavioral changes that will increases student emotional regulation. Using 25 years of classroom experience and her recent doctoral work, Jenny has established an effective way to teach self-regulation through daily routines. Jenny has presented at state and national conferences on topics related to transformational change, behavioral interventions, and understanding the brain to manage emotions. She is an educational consultant who views challenging behavior as a skill deficit and teaches others the power of perception and intentional teaching through prevention and intervention strategies. Her work as a behavior Interventionist allowed for intentional interventions that uniquely contributed to working with the whole child while helping them to develop internal strategies for managing emotions in a safe way. Dr. Zoee Bartholomew has dedicated her professional life to affecting the lives of individuals with disabilities, families, and organizations throughout the US. Dr. Bartholomew is a graduate of Howard University (BS, Human Development), the University of Phoenix (MS, Counseling), and holds a doctorate in education with emphasis in Educational Leadership from University of Phoenix. Over the past 20 years, her career includes being an Adjunct Faculty, Behavior Intervention Specialist, Resource Specialist, Severely-Handicapped Teacher, and Recreational Leader. Dr. Bartholomew is a local entrepreneur providing behavior education services to school districts, adult day programs, non-public schools, and other private organizations. In addition to her business endeavors, Dr. Bartholomew serves as Local Childcare Planning Council, Children’s Alliance, SCDD Regional Advisory Committee, ACSA Equity Partner, and Benicia Open Government Commissioner. Kelly Miller, LCSW, RPT-S and Erin Bennetts, LCSW, RPT co-founded Play Therapy i.n.c. in Littleton Colorado to help children, families, educators, and care givers discover the fullness of an integrated, nurtured, and connected life. Holding a passion for seeking brain based strategies, supports, and information that they can share with the community at the core of their work. They enjoy speaking, teaching and interacting with care givers who interact with young children. Kelly and Erin bring 20+ years of mental health experience to the table as they provide services that prevent, identify, and intervene early in cases where challenging behaviors get in the way of healthy development and mental health for children age 2-12. I have taught dance and creative movement for 31 years. 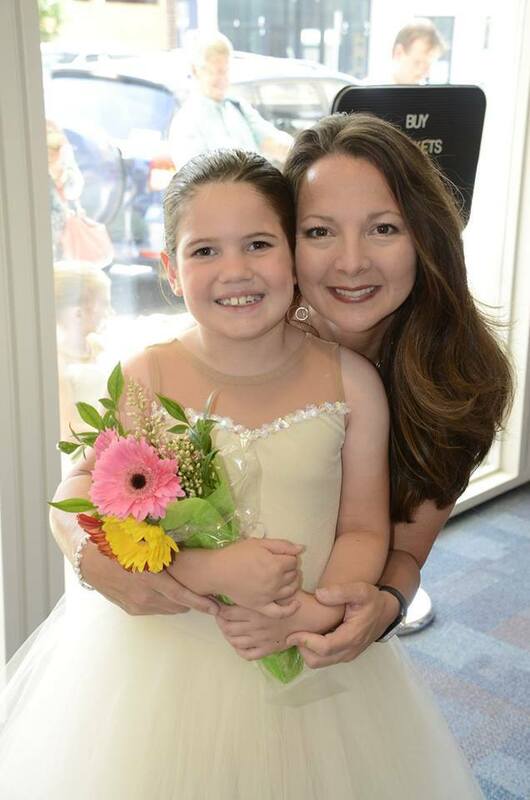 I am currently the Children's Ballet Director at Burlington Dance Center. I am also the Creative Movement/HL/Dance Elective teacher at The Burlington School. I was awarded "Dance Teacher of the Year" by Discount Dance Supply this year. I am a contributing writer for Dance Teacher and Dance Studio Life Magazines. I have written a children's book "The Friend Garden" and created children's DVDs "Move with Miss Kim" and "Dance with Miss Kim". Elena Bodrova, Ph.D. is currently the Director for Research at Tools of the Mind. 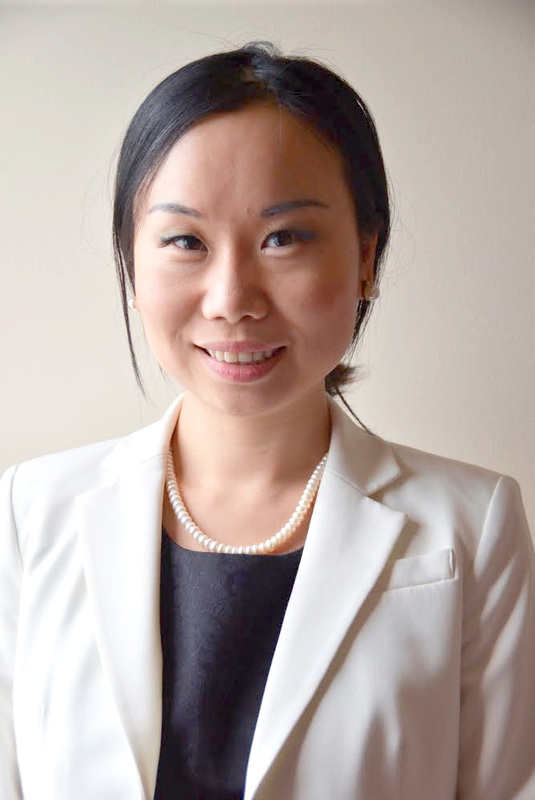 In collaboration with Dr. Deborah Leong, she developed Tools of the Mind program based on Vygotskian and post-Vygotskian theories of learning and Luria’s theories of brain development. 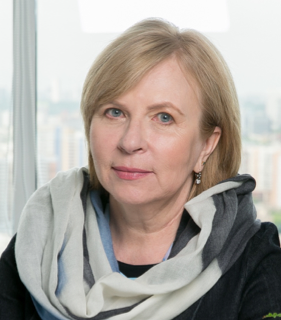 Dr. Bodrova’s work on applying Lev Vygotsky's theory to education started in Russia where she worked in the institute for Preschool Education and continued in the US where she worked as a visiting professor at Metropolitan State University of Denver and later as a Principal Researcher at Mid-continent Research for Education and Learning. Dr. Bodrova is the coauthor with Dr. Leong of multiple articles and book chapters on early literacy, assessment, play, and self-regulation. Dr. Bodrova holds Ph.D. in Child Development and Educational Psychology from Russian Academy of Pedagogical Sciences and M.A. in Child Development and Educational psychology from Moscow State University, Russia. 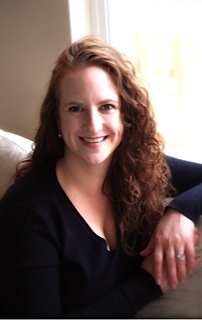 Bridget Borsdorf, MA, LPC is the founder and Director of the Bridge Center for Play Therapy. She is an expert in early childhood and social-emotional development. Through the Bridge Center, she has built strong foundations with preschools and early childhood communities in the northern Colorado region. 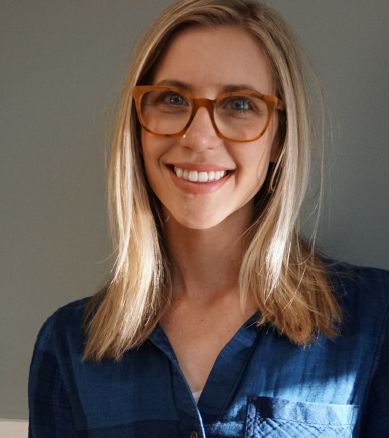 Bridget has successfully brought more awareness to educator’s roles in supporting kids through feeling-based experiences.Bridget’s work has most recently been supported through her role as Mental Health Consultant for the Wild Plum Center for Children and Families. Wild Plum is Longmont, Colorado’s Headstart program. This position has offered Bridget the opportunity to work a diverse population. Her role there has included increasing children’s emotional awareness to be more effective in their academic learning, coaching teachers to support challenging behaviors of children and providing organizational strategies to improve teaching performance and sustainability. Bridget is passionate about children and educators alike. Her unique, enthusiastic approach to emotional support for all areas of early childhood education is engaging and inspiring. Melanie has studied music, theater and received her Masters in English from Utah State University. 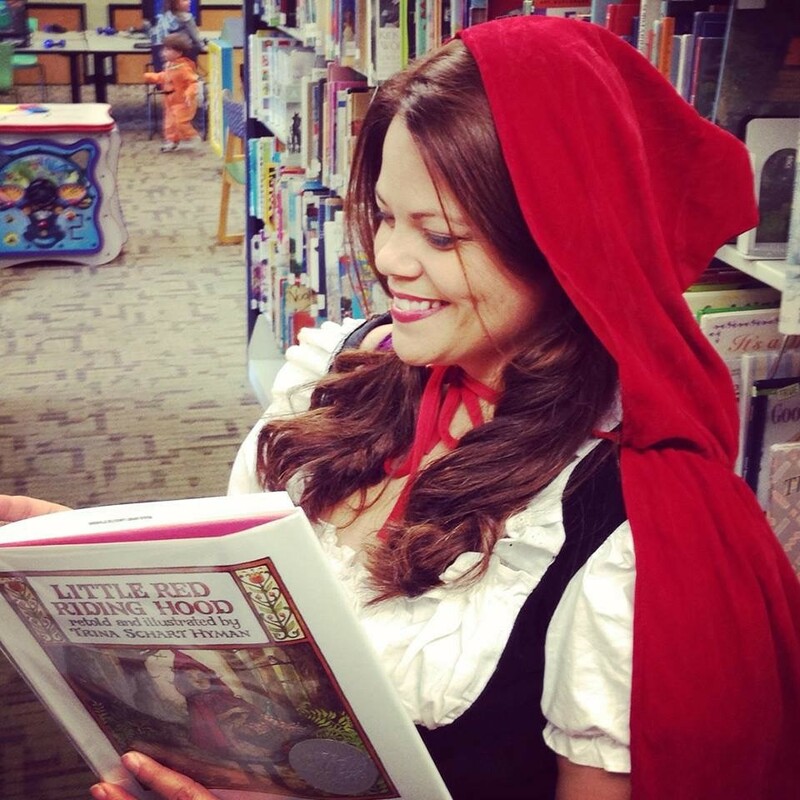 She is currently a Youth Services Librarian at Boulder Public Library in Boulder Colorado, where she has been doing storytimes since she started in 2002. She does 4-5 storytimes a week and incorporates music into everyone. She also does storytime at a local preschool and is currently in her Second Season of the local televised program, Read With Us. Over the past 15 years of working with young children and families as a teacher, public speaker and parenting coach, my "secret" passion has been creating outdoor play spaces for children that truly allow them to experience nature. Sometimes referred to as Natural Playscapes, these spaces combine the land, plants, play equipment, and natural materials to make spaces that are stimulating for children, establishing a real relationship with their bodies and the land. From small home daycares to Waldorf school playgrounds to Botanic Gardens, I have visited and explored as many of these as possible, and I've helped design and install such playscapes in both school and residential settings. This exploration has culminated with the creation of my own beautiful Play Garden in Arvada, CO, where I currently run outdoor parent-child classes in spring, summer, and fall. You can learn more at http://joyfultoddlers.com/play-garden/. In addition to my love of natural playscapes, I have an MA in Early Childhood Studies and am author of the book "Joyful Toddlers & Preschoolers: Create A Life that You and Your Child Both Love" (Hohm Press, 2017). Meaghan Burns and Lindy Gunn have worked with infants and young toddlers in an inclusion setting in Colorado for over 10 years combined. They are committed to using a responsive environment to promote play opportunities and encourage developmentally appropriate risk play for the youngest learners and have explored ways in which these opportunities can be created safely in the classroom and at home for children of all developmental ranges birth to 3 years old. Stephanie Burton, M.A. is known for her energetic, enthusiastic presentations and her innovative, yet practical ideas for creating a great early childhood program. 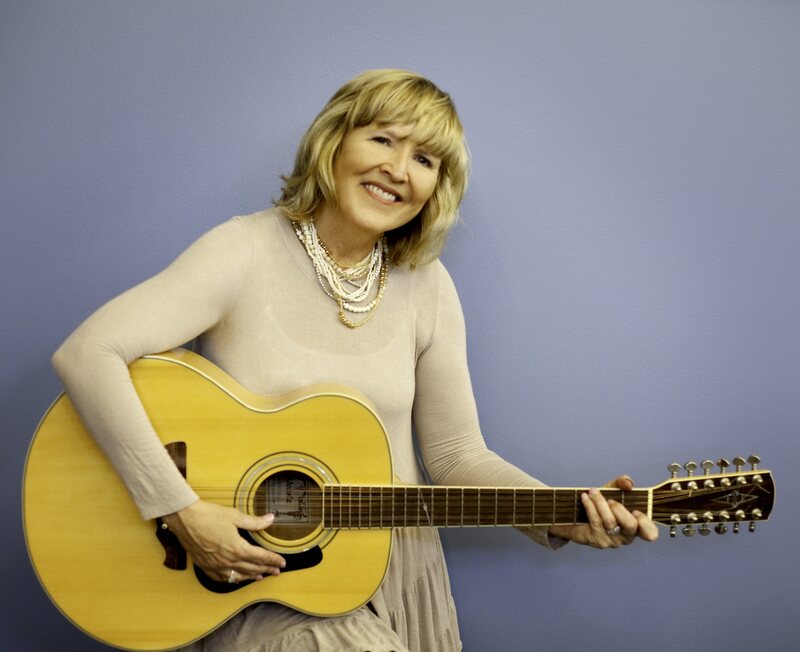 She is an award-winning author, singer and songwriter with 31 years’ teaching experience. As a frequent presenter and keynote speaker at early childhood conferences around the country, Stephanie has taught thousands of early childhood teachers how to use the most current brain-based learning theories in order develop fun, innovative activities that enhance learning throughout the curriculum. Stephanie has her participants laughing, dancing, and singing as she demonstrates classroom-proven, easy-to- implement ideas that teachers love to use. You will learn how to design activities that will engage children and motivate them to be the best that they can be. Stephanie’s books and recordings have received several national awards." Music Explosion" received the 1994 Early Childhood News Award. "Science Times with Nursery Rhymes" and "The Curiosity Shop," each received a Teachers' Choice Award. The "MathMagic" book and CD received the 2003 Early Childhood News Director's Choice Award. Stephanie’s book with CD, "Music Mania", is extremely popular with early childhood teachers. 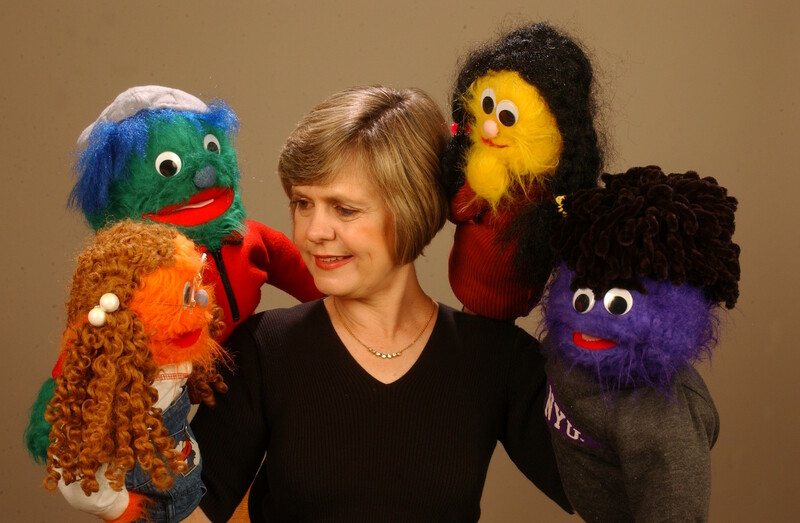 Her newest music CDs "The WiggleWorm Workout", and "Wiggle, Giggle and Learn" are helping children in early childhood classrooms across the country have fun with music while learning important skills. Phyllis Campbell, M.Ed/ECE, has been working with young children from birth-2nd grade since 1975. Phyllis retired after 20 years of teaching preschool in Colorado, focusing on special needs and "at-risk" children. Phyllis is the co-author of 3 nationally awarded early childhood curriculum books which continue to be enthusiastically used in classrooms around the country. She is a frequent speaker/presenter at conferences all around the country. Phyllis is happy to share her unique approach with younger and energetic teachers. Her hope is that others will gain an excitement and joy for teaching. Dr. Jeanine Coleman is a Clinical Assistant Professor in the Early Childhood Special Education program within the Morgridge College of Education at the University of Denver. Jeanine has an MA in Early Childhood Special Education from Southern Illinois University and received her PhD from the University of Denver in the Child, Family & School Psychology program. She has served as a teacher, advocate, and interventionist for families with young children with developmental delays, disabilities, and special needs across the state of Colorado. 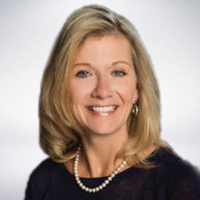 Stacy Cook-LaPointe is a native of Colorado. She loves spending time with her husband, 5 children and 4 dogs. Her professional mission is to teach, lead and facilitate educators, parents, and communities to provide equitable, affordable, high-quality, and accessible services to young children and their families. Her 25 year career in early childhood education and family support have provided many opportunities for her to succeed. Her roles as an Assistant Teacher, Lead Teacher, Assistant Director, Director, Early Intervention Service Coordinator, Director of Early Intervention and Family Services, Early Childhood Resource Teacher, State Technical Assistance Coordinator for the Early Childhood Councils, and Metropolitan State University of Denver Adjunct Faculty and Grant Coordinator have increased her knowledge, opportunities for growth, and ability to create meaningful impacts for children, families, educators, and communities. Her excitement, willingness to collaborate, and capacity for engaged leadership provides those who work with her to be the best they can be! She deeply believes in an individuals to be the best leaders of their lives! The combination of a persons ability to lead in areas of importance with a leaders ability to support and facilitate lead to shared success. 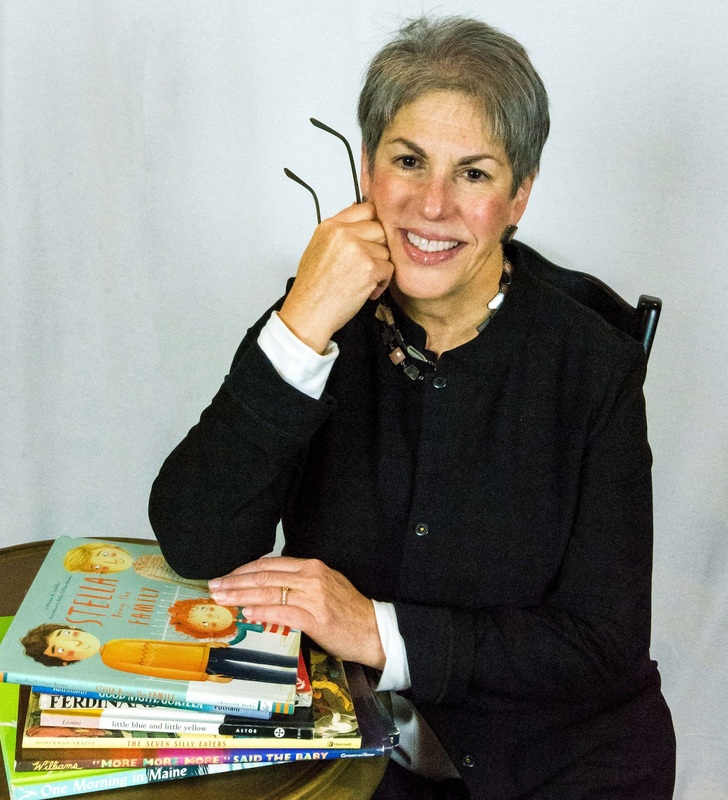 Janet Rene Damon, Ed.S is a literacy engagement activist who has worked to empower families and support their access to libraries and collections that feature positive representation of diverse children and families. She is an educator with over twenty years of experience working with students and families as a librarian and literacy consultant. Janet has taught U.S. History, Ethnic Studies, Literacy Intervention and Information Literacy with students K-12 and is currently the Library Services Specialist for the Denver Public Schools.Her work as a Family Literacy Specialist with BCDI-Denver allows her to support families building a culture of reading at home and increasing access to books and resources that support a child’s self-esteem, confidence, self-concept, and appreciation of their unique history and culture. She is a founding member of Afros and Books and wants to share the tremendous legacy of African American authors, innovators, and master storytellers. She has led workshops and presentations on diverse books for the Rocky Mountain Early Childhood Conference, Denver Comicon, the National Joint Conference of Librarians of Color and School Library Journal.Janet hosts a blog for multicultural mothers called MixMomma, that helps promote cross-cultural experiences that help foster friendships, support, and community among diverse communities of women. Her family is also featured in documentary called, All Mixed Up: Our Changing Racial Identity, where she talks about the power of being grounded in both her African American and Korean identity. Sarah Davidon, Ed.D. has led policy and systems-building initiatives related to early childhood, mental health, disabilities, and coordination of human services systems and practices, and has provided guidance and direction for 20 years in Colorado’s development of an early childhood system-of-care that intentionally includes social, emotional, and mental health. Dr. Davidon is a graduate of Bryn Mawr College and the Harvard University Graduate School of Education and received her doctorate from the University of Colorado School of Education and Human Development in educational equity. Dr. Davidon joined Mental Health Colorado as the Research Director in 2017, while also continuing to serve as the faculty with Colorado’s Leadership Education in Neurodevelopmental and related Disabilities (LEND) program, Director of Community Education with Colorado’s University Center for Excellence in Developmental Disabilities program at JFK Partners, and as an assistant professor at the University of Colorado School of Medicine. From 2002-2008 she was Director of Colorado Project BLOOM, the first federal system of care cooperative agreement in the nation with a specific population focus of early childhood mental health with the SAMHSA Center for Mental Health Services. She was a founding state policy team member of Colorado’s Center for Social Emotional Competence and Inclusion (Pyramid Plus Center), and chair of the state policy team until 2014. Dr. Davidon served as the co-chair of the Early Childhood Colorado Partnership Steering Committee until 2015. Additionally, she is a member of the Healthy Child Care Colorado Steering Committee. Dr. Davidon has partnered with the Colorado Department of Human Services Office of Behavioral Health on evaluating early childhood mental health consultation (ECMHC) and the development of an ECMHC best practices analysis adopted by CDHS/Office of Behavioral Health, and chaired the committee advising the Colorado Office of Early Childhood on ECMHC. In 2013, she was the principal investigator and co-author of a pioneering early childhood mental health environmental scan funded by Rose Community Foundation and Caring for Colorado. She held a Governor’s appointment to Colorado’s Behavioral Health Transformation Council, served on the advisory board of Family Voices Colorado, and is past-president of the Colorado Federation of Families for Children’s Mental Health. Jackie Davis' research interests include working with diverse families, early literacy, and teacher preparation. Prior to joining the UNC early childhood special education team, she spent 17 years in the classroom working with young children and families in both early childhood and elementary inclusive settings. Davis has published articles and presented at local, state, and national conferences as well provided service to the ECSE field across all levels. Lisa has been an early learning librarian with the Denver Public Library since 2013. She trains staff, teachers, caregivers and professionals on early literacy topics. In addition she provides feedback and assists Denver Public library staff and volunteers on best practices regarding early learning, storytime, child development and early learning programming. She has worked with children 0-5 years old for over 20 years through libraries and teaching. Mary Jo DePriest and Melissa Taucher are Regional Preschool Specialists for the Colorado Department of Education. Mary Jo lives in Creede, Colorado and serves school districts in southwest Colorado. Melissa lives in Glenwood Springs and serves school districts in northwest Colorado. Mary Jo has been an adjunct faculty member for Adams State University. Melissa Taucher currently serves as adjunct faculty for CCConline. Clarissa Doutherd is the Executive Director of Parent Voices Oakland, an East Bay chapter of Parent Voices California. She comes to the organization with over a decade of experience working for grassroots, non-profit organizations. Clarissa discovered her passion for child care advocacy when she lost a much needed child care subsidy for her then 3 year old son, Xavier. Clarissa has been a strong advocate for mothers like herself who were caught in the crosshairs of ineffective public policy. In addition to supporting Parent Voices Statewide campaigns, she has worked to decrease the number of mothers in Oakland waitlisted for for child care subsidies. As a collaborative movement builder, Clarissa has forged deep partnerships with large local Government agencies including the County Social Services Agency, Public Health, and Behavioral Health Services. After stepping into leadership as the Co-Chair on the Alameda County Early Childhood Policy Committee with First 5 of Alameda County, Clarissa led efforts to refocus the group to become a cross sector collaborative which brings together community based organizations, parents and service providers to advance innovative strategies for County-wide systems change; and works to elevate parent leadership in public policy. Clarissa is the recipient of the prestigious Gloria Steinem "Woman of Vision" award, and currently sits on the steering committee for the Alameda County Early Care and Education Planning Council, the 18th Assembly District Education Advisory Committee, and the Alameda County-Oakland Community Partnership Board for the City of Oakland. Clarissa resides in Oakland, California with Xavier who is now 9 years old. Mary Dravis-Parrish has over 25 years of experience as an educator, trainer, empowerment family and life coach, speaker, and a certified facilitator. She is the owner and practitioner of Simple Strategies for Family Living and the author of Empowered Parents Empowering Kids, A Guide to Be You Parenting and the co-author of Possibilities in Parenting. Mary is the host of the weekly radio show- Be You Parenting on the Inspired Choices Network. As a child, living in a home of eight children, Mary discovered many styles for living, learning and coping, which lead her on a path to teaching children and working with parents, educators and care givers to create more ease in family living. Mary's own parenting background began as a teen parent, and includes experience as a single parent, co-parent and stepparent; she is also a parent who lost her son to suicide. She understands the needs, demands, and dynamics parents' and adults who interact with children, face day to day. Mary has taught special education to children for over 18 years and now coaches parents and care givers to utilize strategies that empower their current skills, which in turn empower children and create a greater world for all of us. Mary shares simple strategies that are highly effective, such as questioning strategies, release of expectation techniques, empowerment techniques and many more. As a certified facilitator, Mary has equipped hundreds of parents and children with her simple strategies that have empowered families to thrive, have less chaos and more confidence. Applying her BE YOU parenting strategies, trainings and tools, she facilitates change in people's lives, so they have more confidence, awareness, joy and fun in all areas of living. Mary is a native of Colorado, and lives in Fort Collins, Colo. She makes time to enjoy reading, hiking, biking, needlework, visiting with friends, and keeping caught up with the activities of her growing family. Charles Dukes currently serves as the Education Policy Director for the City of Denver. As the Education Policy Director, Charles serves as a liaison between the City of Denver and Denver Public Schools in a collaborative effort to support the alignment between educational institutions, businesses and governance structures. Charles also identifies opportunities for the broader Denver community to engage in education and youth-related initiatives that play a role in life-long success for Denver youth.Before joining the City of Denver, Charles spent a significant amount of his career as a district central office leader. Charles also worked as the Senior Consultant for the Colorado Department of Education in high school initiatives and was the first grant manager for the School Counselor Corps grant program at the Department.Charles has a Bachelor's Degree in Political Science from Colorado Mesa University and a master’s degree in Education Foundations Practice and Policy from the University of Colorado at Boulder. 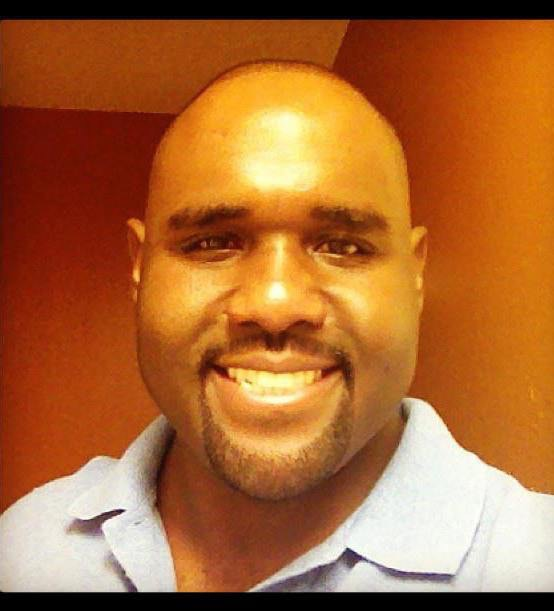 Charles is in the process of completing his Ed.D in Organizational Development at Grand Canyon University. Susan brings valuable and varied experience to her trainings. Using her years of professional experience with Head Start, Education Programs Pre-School thru College, national and international experiences with the United States Air Force, and personal experience as a mother and grandmother, she provides practical strategies and solutions to difficult issues. Specializing in Dr. Becky Bailey’s Conscious Discipline® Susan’s positive energy is contagious. She has a tremendous ability to enthusiastically connect with all ages while offering life-changing solutions. She trains at the state, regional, and national level, holds a Masters in Education - Child and Family, and has held offices at the local, state and regional level in early childhood organizations. Michele is the Manager of Community Outreach and Special Projects. She facilitates stakeholder meetings across Colorado, and provides technical assistance around developmental monitoring, screening, and referral to community partners. Most of the special projects she is involved in include working with early learning programs to enhance their developmental monitoring, screening, and referral practices.Michele’s education is in early childhood development with an emphasis in psychology. Prior to ABCD she has worked in a Federally Qualified Health Center where she was tasked with implementing the Patient Centered Medical Home Initiative. When moving to Colorado she worked at Family Resource Center and oversaw all programs.Michele is passionate about working on behalf of families and children to ensure that young children get the best start to life possible. Because of her work at ABCD, she wants all families to know that they have the right to services should there be a developmental concern with their child. She loves cooking, crafting and spending time with her husband and baby! Elise has lead in DPS for 14 years. She has enjoyed working with students, families, teachers and administrators from across the district in various roles including a literacy coach, an ELA-S kindergarten teacher and now an Academic Support Partner. She is proud of her work to encourage project-based learning, intentional play and language development. She holds a masters degree from the Harvard Graduate School of Education in the Language Literacy program. She has two children of her own attending public school, Sam and Isabel, who allow her to stay up-to-date in outdoor learning, children's literature and video games. My name is Eric Elmore and I’m a doctoral candidate. I currently attend University of Colorado Denver and am enrolled in the Doctor of Education, Leadership for Education Equity in Early Childhood/Early Childhood Special Education. I currently sit on the board of Colorado Association for the Education of Young Children. Wendy Flanders has been working in the field of Early Childhood Education for over 20 years, with much of that work in Head Start and Early Head Start. Wendy has a Master’s degree in Educational Psychology from the University of Colorado, Denver. She joined the Region 8 TTA team as a Birth-Five Early Childhood Specialist in September 2016. Marlena Suazo has a BA in Early Childhood Education. She has served in many professional roles in Head Start and private Child Care before joining the Region 8 TTA network as a Birth-Five Early Childhood Specialist in February 2018. Dr. Lissanna Follari has been working with and for young children and families for 23 years. She began her teaching career as a teacher of infants and toddlers, and has worked in classrooms throughout the elementary grades. Lissanna has spent the past 16 years as an Early Childhood Development and Education university faculty. Her work focuses on diversity studies and innovative approaches to inclusive early care and education. She joined the College of Education at the University of Colorado Colorado Springs in January 2014. Partnered with Inclusion University consulting, Lissanna also provides coaching and mentoring for early childhood teachers to enhance their implementation of effective inclusion practices. She has served as President of the Colorado chapter of the Division for Early Childhood of the Council for Exceptional Children. Lissanna lives in Colorado Springs with her young son, and together they spend most of their free time in the mountains and exploring our great outdoors. Erin holds an M.S.Ed in Early Childhood Special and General Education at Bank Street College of Education and a B.A. in Art History and English at Wellesley College. She works in a toddler classroom with children ages 24 months to 3 years. Erin has been an early childhood educator for over 10 years. She was recently named Honorable Mention for her nomination as the Qualistar Early Childhood Professional of the Year." She has presented on social stories at the CAJE Annual Jewish ECE Conference and is currently in the process developing an app for educators and other professionals working directly with young children called "Little Life Stories." Luke Gober is a Toddler Teacher at Clayton Early Learning, where he applies Conscious Discipline in his classroom every day. He has been an early childhood teacher for 7 years. Luke studied Early Childhood Education at Nicolet College in Rhinelander, Wisconsin. Luke has been studying and implementing Conscious Discipline for the past four years and brings to his workshops a wealth of real-life experience in the classroom. It has been my pleasure to support and inspire ECE practitioners for over 20 years as a Teacher, Director, Trainer, and Coach. I recently founded The Wheelhouse Collaborative, LLC to focus on what I love most, facilitating high-quality professional development through dynamic in-person training coupled with real-world, practice-based coaching. As a MA graduate from Pacific Oaks College, my philosophy is rooted in inquiry/project-based curriculum but as STEM has burst on the scene, I began researching the engineering design process and how these two philosophies align. As a result, I developed the Engineering Mindset Learning Model that outlines the powerful combination of six engineering habits of mind, problem-solving design process, and three empowerment teaching strategies. This powerful model has become the foundation from which I teach and learn, where collaboration, support, and the exchange of ideas inspires us to grow together. Jacquelyn “Jackie” has worked in Montessori for over 15 years. She has worked with students and families from prenatal education through Elementary. Jacquelyn has her AMI Montessori certificate in Assistants to Infancy (0 to 3 education) from The Montessori Institute in Denver, BA in Statistics and Mathematics from Rutgers University, Rutgers College, and M.Ed. in Education, specializing in Montessori Education, from Xavier University. She has taught in Nido, Toddler, Primary, and Elementary classrooms, consulted in classrooms of all ages, managed Montessori schools worked as a mentor for new teachers and assistants and created Parent and Teacher Education workshops on a variety of topics. She has worked in Montessori schools and at Montessori training centers around the country.Jacquelyn has done research in Montessori and early childhood education and plans to continue and expand her work. She is currently an active Board Member for the Colorado Montessori Association and enjoys supporting Montessori initiatives. Jacquelyn spends time in the summer working with The Montessori Institute in Denver and expanding Montessori education for all.Jacquelyn has been living in the Parker area for the last 11 years. She enjoys many of the outdoor activities Colorado has to offer including camping, hiking, and snowshoeing. Dr. Pamela Harris, President & CEO of Mile High Early Learning--Denver's largest and oldest provider of subsidized quality early childhood education, brings over 25 years of experience in education programming and administration focusing on early childhood settings that serve vulnerable populations. She is founding Chief Operating Officer of the Denver Preschool Program, served as Director of Denver Great Kids Head Start, and is adjunct faculty for the Buell Early Childhood Leadership fellowship. She serves on numerous advisory boards and is actively involved in advocacy and policy issues locally and nationally. As co-chair of the Early Childhood Professional Development Advisory Group, she helped to develop the Early Childhood Workforce Plan 2020, an ambitious, three-year state roadmap to promote a high-quality, effective, and diverse early childhood workforce, as part of Colorado's participation in Transforming the Workforce. Jennifer Hart, M.S. Ed, is a dual-certified early childhood educator with over 8 years of experience serving children and families in diverse settings. She received her master’s degree in Early Childhood and Special Education from Hunter College School of Education in New York City, where she began her career working as a teacher in a Head Start program. Since then, she’s taught special education in integrated Kindergarten and 1st grade classrooms and served as a social-emotional specialist helping implement curriculum, leading professional development, coaching teachers, and supporting families through the referral process for early intervention services. Currently, she works as a consultant and marketing manager for BabyNoggin, a company empowering providers and parents with digital developmental screening tools. Teri Haymond, LCSW, is a Program Director at Family Resource Center Association. In this role she provides support to member Family Resource Centers across the state to implement Colorado's Family Resource Center model with fidelity. 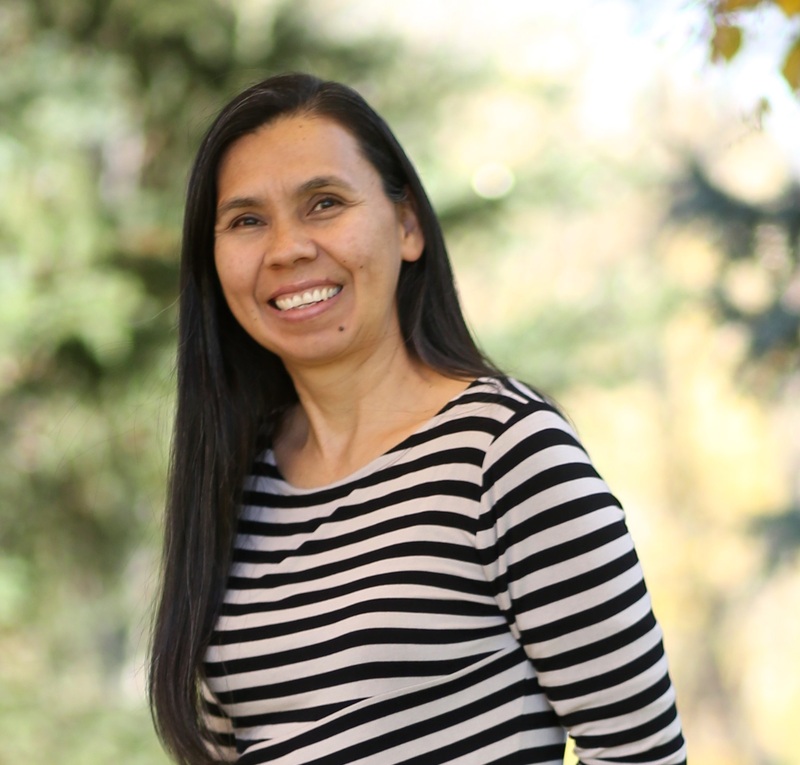 Prior to this position, Teri worked for the Denver Indian Family Resource Center and with the Office of Early Childhood's Child Maltreatment Prevention unit. Teri received her Master’s degree in Social Work from the University of Denver in 2005 and has practiced in the field of social work for seventeen years. Teri is a proud auntie of four nephews and three nieces. Constant Hine is the founder and president of Horizons In Learning and has over 30 years’ experience in the field as a classroom teacher, adult educator, coach, consultant and author of several books. She has an MA in Teaching/ECE from Nova University in Ft. Lauderdale, FL. Since 1988 Horizons In Learning, LLC. has offered services and products that promote sustainable change to early childhood professionals, teachers, care-givers, leaders, coaches and agents of change throughout North America. Constant is the author of Coaching For Success, Engaging Adult Learners Using Multiple Intelligences: the Toolkit of Adult Education Instructional Strategies, and Engaging Young Learners. Currently she is working on her new book Coaching for Conscious Change Using the GROOMER Framework for Change™ Model to be published by RedLeaf Press in early 2019. She developed The GROOMER Framework for Change™ and has taught this coaching model since 1992. 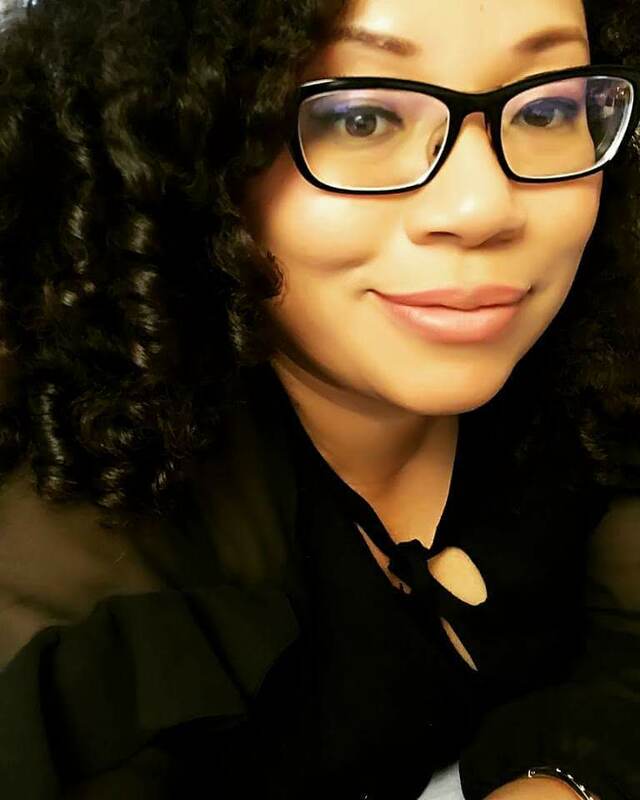 Cybil Holmes, Early Childhood Education Program Specialist, has worked for the Denver Museum of Nature & Science since 2012 in a variety of capacities: first as an on-the-floor educator/performer, next as the assistant coordinator of the Discovery Zone, and assumed her current role in 2015. This position has proved to be a perfect fit for Cybil, making use of her background in early childhood education, her knowledge of museum culture and guest service, and her passion for creating and presenting dynamic programming. The role of Early Childhood Education Program Specialist crosses departments. On a given day, Cybil might be supporting staff in the Discovery Zone, developing camp curriculum, delivering teacher professional development, collaborating with a community partner or advising colleagues on how to best meet the needs of our youngest audience members. All of this work is done with a focus on the latest early childhood research and best practices, and with the goal of providing guests with the best experience possible. She holds a master's in early childhood special education and a bachelor’s in communication, both from the University of Northern Colorado. Christine joined the Paddington Station Preschool Team as Director of Preschool and Kindergarten in July of 2017 and has enjoyed her work in Early Childhood over the last 12 years. Early in her college years Christine became enthralled by research regarding child development and innovations in the field of early childhood education. While in San Francisco, Christine started her professional career with Pacific Primary Yellow Sun School and earned a Bachelor’s Degree in child and adolescent development from San Francisco State University. Christine headed east from the Bay Area to simultaneously earn a Master’s Degree in educational psychology from the University of Colorado, Denver while also teaching pre-kindergarten at Boulder Journey School. Post graduation she has worked at Head Start Programs and gained valuable experiences in curriculum development, administration and instructional management, professional development, and community relations. In her time “off campus” Christine enjoys hiking through dense forest, taking her dog “Turtle” around town and caring for her little backyard homestead. 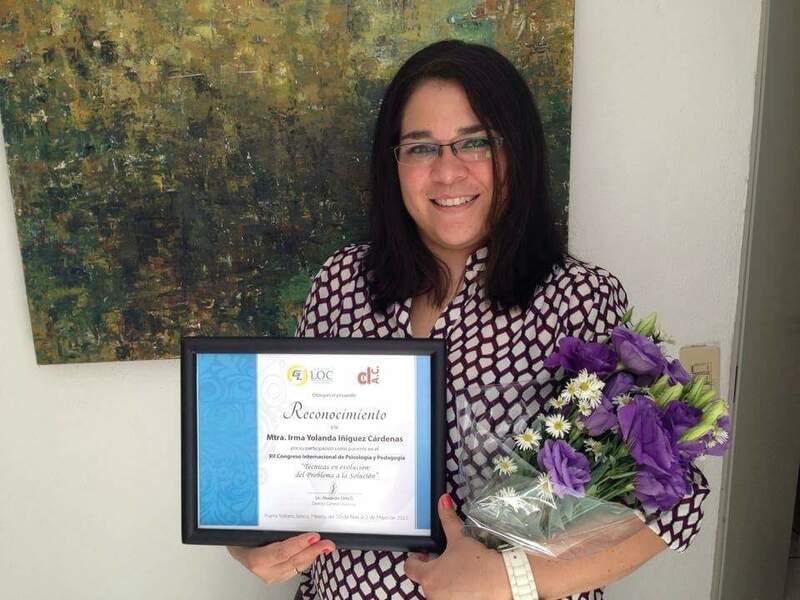 Cristina House MA, ECSE was born and raised in Costa Rica where she worked as an elementary special education teacher. Cristina moved to Colorado in 2005 and since then has worked at Sewall Child Development Center. Cristina’s interest in serving students with special needs took her to obtain a degree in physical therapy and then a Master’s degree in early childhood special education. Cristina has worked for most of her career as a practitioner in inclusive classrooms, particularly serving diverse Head Start students throughout the city of Denver. Currently, Cristina completes developmental assessments for eligibility for special education and she serves as the program coordinator for the transdisciplinary Denver Great Kids Head Start-Sewall team that works collaboratively with the City of Denver and Denver Public Schools. Cristina has experience working with colleagues from a variety of fields including school administrators, mental health consultants, public sector officials, general and special education professionals. Cristina is passionate about inclusion and about providing early childhood professionals with tools that bridge the research to practice gap and increase quality practices in the early childhood education field. A passionate blend of Early Childhood Education and Small Business Entrepreneurship. Kirk Huddleston moved from the beautiful Puget Sound area in Washington state to Colorado in 1997. He partnered his background and education in business management with his beautiful wife Kim, who was a preschool teacher from Colorado. Kirk and Kim have 4 children and love and spending much of their time in the outdoors with a passion for boating, fishing and being on the water. They currently own and operate two large and thriving childcare centers in the Grand Junction area of Colorado and are the largest child care provider on the Western Slope. Kirk has been consulting for several years and has a passion for helping others achieve success in our industry. Dr. Jane Humphries experience in the early care and education field has included years of experience as a child care director of an NAEYC accredited program, college instructor, and she currently serves as a Professional eLearning Specialist for the McCormick Center for Early Childhood Leadership. Dr. Humphries works closely with child care directors all over the country who are learning more about best-practice administrative practices through the online Aim4Excellence National Director Credential program. She has earned undergraduate degrees in family and child development, a masters degree in early childhood education, and a doctoral degree in occupational and adult education from Oklahoma State University. Kari Rains is a Certified Child and Parenting Specialist with over a decade of clinical work in early intervention. While she has worked clinically with children who have sensory challenges, she is also a parent diagnosed with Sensory Processing Disorder and can speak first-hand to the experiences this has been. She has served as an adjunct instructor, published books and numerous research articles in the field of child development to include articles in Exchange®, and co-authored a book published by Redleaf Press with Dr. Jane. Kari has earned her undergraduate degree in Communication Sciences and Disorders and her master’s degree in Child Development, both from Oklahoma State University. Licenciada en Pedagogía por la Universidad Panamericana. Maestra en Neuropsicología y Educación por la Universidad Panamericana y el Centro Universitario Villanueva, Madrid, España. Estudió un Seminario de Neuropsicología y Desarrollo, el taller de Gimnasia Cerebral (impartido por la creadora en México Luz María Ibarra), el curso “Intervención con alumnos de altas capacidades” y de Neuropsicología y programa ADI y AR (Madrid-España), así como un diplomado en Nutrición y Conducta (Universidad Brainet, Mty), proceso cognitivos, rehabilitación neuropsicológica infantil, trastornos del aprendizaje, neurodesarrollo y neuroestimulación, educación especial, entre otros. Asistió al Congreso Nacional de Neuropsicología y participó como tallerista en el Coloquio anual de la AMMCCyT, cuya sede fue Guadalajara, Jal, con profesionales de museos a nivel Nacional e Internacional, entre otros. Atendió exitosamente a colegios sobre diversos temas relacionados con el desarrollo de habilidades intelectuales, neuropsicología, neurodesarrollo, programas de neuromotor y hábitos de estudio. Actualmente es directora del Centro de Orientación Psicopedagógico Clever desde hace 6 años en Puerto Vallarta y 10 años en Guadalajara, en donde se evalúa, interviene y desarrolla habilidades en niño y jóvenes que presentan problemas de aprendizaje, por medio de programas personalizados. También fue catedrática de la Escuela de Pedagogía en la Universidad Panamericana campus Guadalajara de la materia de Neurofisiología del aprendizaje y asesora en la Maestría de Neuropsicología y educación de la materia de funcionalidad visual y procesos lectores; Niveles táctiles y neuromotores, escritura y aprendizaje; dislexia, hiperactividad y disfunciones cerebrales; habilidades auditivas y el aprendizaje de otros idiomas. Además de ser dueña de la franquicia Aloha mental aritmethics de puerto vallarta. Además de coordinar y organizar diversos diplomados online: trastornos del aprendizaje, neurodesarrollo y neuroestimulación, adquisición de la lecto-escritura, procesos cognitivos entre otros cursos online. Wisler Jacquecin has worked in Child Support for over 6 years. He is currently the Behavioral Interventions for Child Support Services grant manager at the State of Colorado. He has considerable experience dealing with numerous entities of government, businesses, and other community partners. In Colorado, he has been involved in various innovative projects as a Child Support practitioner such as the Colorado Parent Employment Project grant and responsible fatherhood. Wisler has served as a leader of the Colorado Division of Child Support Services’ Two-Generation Transformation Project (2Gen). He has been tasked with coordinating the execution of each step of the division’s 2Gen project plan as the lead of newly created Program Innovation Unit. I work in Durango, Colorado, where I have spent most of my life since 2000. When I am not working as an Early Childhood Mental Health Specialist, Private Practice Counselor, or being a Doctoral Student, I am spending time with my wonderful family. I am lucky to have all of my family living here in Colorado, where I am raising my son with my soon to be husband. We enjoy the outdoors, whether it be fishing, bow hunting, or hiking. Working with individuals in my community to bring awareness to the need for supporting those who have experienced trauma is my calling, and one I am hoping to continue to answer throughout the years. 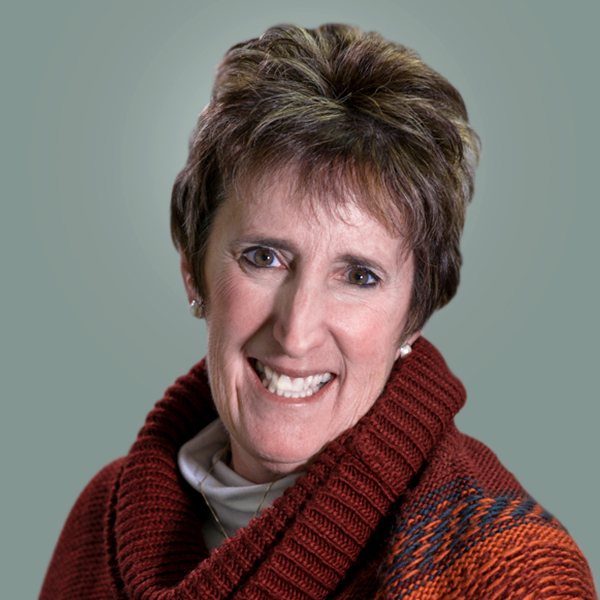 Susan Kay, MA, works at Denver’s Early Childhood Council as a Quality Specialist focusing on issues related to social-emotional development and addressing challenging behavior. 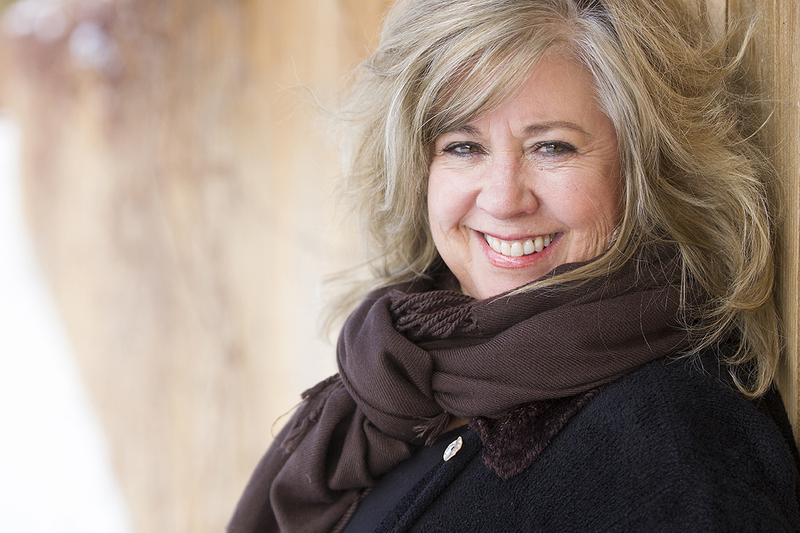 Susan has worked in early social-emotional development for over 20 years. She has been a child/family therapist; attachment-based therapist in a therapeutic preschool; and trainer, coach and parenting instructor in all aspects of EC mental health and social-emotional support. Susan has put these skills to good use in her own life as a foster and adoptive parent. She received her MA in Counseling Psychology from Naropa University and BEd from the University of Michigan. She is a Certified Pyramid Plus Approach Trainer and has completed the Conscious Discipline® Institute and Advanced Institute. 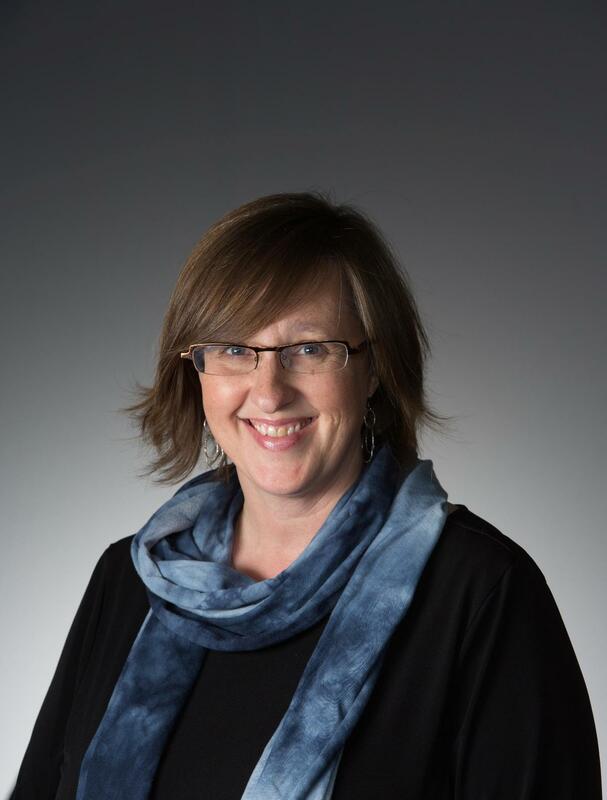 Becky Keigan, M.A., is currently serving as the Buell Early Childhood Leaders Network director, founder and educational consultant for Becky Keigan + Associates and as University of Colorado Denver adjunct faculty. 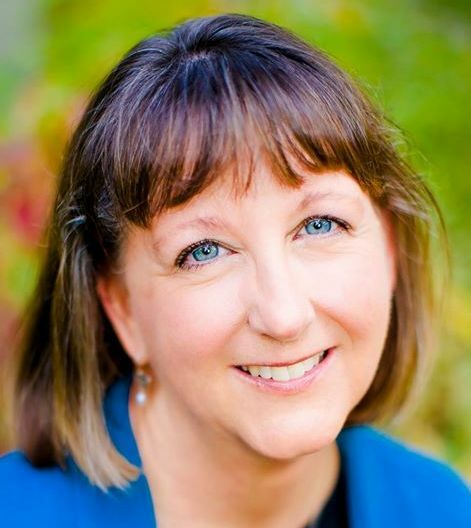 She has been actively involved in Early Childhood Education for over 35 years as an educational consultant, coach, adjunct faculty, an ECE school district/Head Start teacher, family literacy, and education coordinator, Food Friends program coordinator at Colorado State University, training and curriculum specialist at Kodo Kids. Her life goal is to inspire early and inspire often© people’s passion and joy for their child-focused work, family life choices and healthy living. Kasey Kile Wilkinson has been working for 12+ years in the early childhood field as a Center Director, training specialist, written curriculum for the Kinesiology Department of Kansas State University and has provided technical assistance to a variety of programs across the State of Kansas. Mrs. Wilkinson received her Bachelors and Master of Science in Early Childhood Education from Kansas State University. 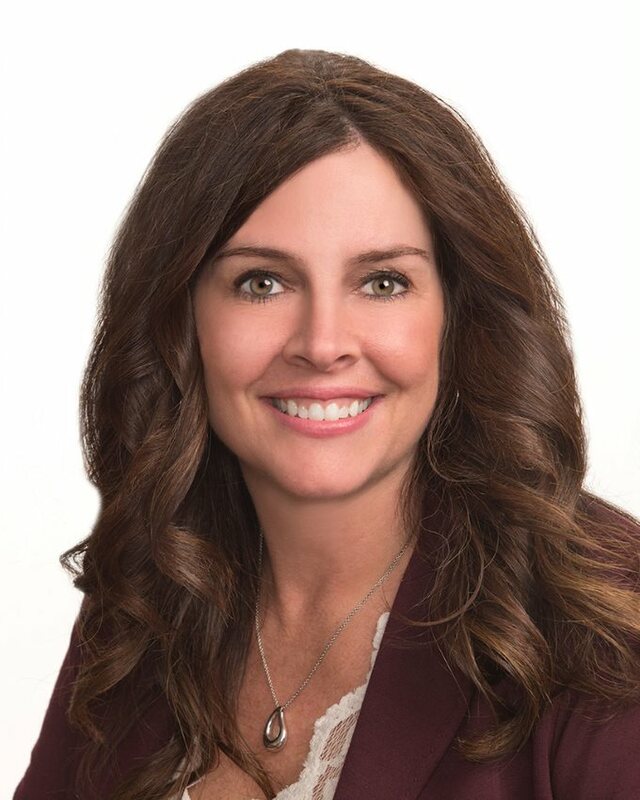 Additionally, as a leader in the field, she is currently serving as President of the Kansas Association for the Education of Young Children.Kasey has experience developing and presenting training curriculum for both onsite and online learning for early childhood providers. She works diligently to provide a variety of adult education methods that meet individual learning styles by providing engaging activities. When not working with early childhood professionals, Kasey enjoys spending time with her dog, Kaiha - a spoiled Springer Spaniel, relaxing and gardening in her back yard, attending K-State sporting events with family and friends, reading, and traveling. Virginia Kile, MA, ECSE, is a coach and trainer passionate about building the social emotional skills of young learners and reducing challenging behavior. She manages a large Pyramid Model Coaching Project in Western Colorado. Virginia has worked as an early interventionist, ECSE, Coach, Trainer, and Technical Assistant. She believes in the ability of teachers to change their practices and the ability to children to learn new skills. After 50 years in the field of early childhood, including 30 years as a center director, I am now coaching for Step Up to Quality, Nebraska's QRIS system. I lived in Denver for 14 years where I started and directed the Renaissance Children's Center for the Colorado Coalition for the Homeless. Since this program serves children whose families are transitioning out of homelessness or living in poverty, I was called upon to learn tthe importance of building caring and supportive relationships with children to help them realize their full potential. As a coach, I have become even more aware of how to build relationships with both children and adults. KRISTEN KLAASSEN, M.A., is co-founder, principal coach and consultant for Dynamic Coaching Systems. She is also currently faculty at the University of Colorado Denver teaching the first of three coaching courses leading to an Early Childhood Coaching Certificate, which she worked with a team to design in 2010. She also teaches “Creating and Sustaining a Dynamic Coaching System” through the University. Kristen is a part-time professional development trainer for the Colorado Department of Education, Preschool Special Education, working with school districts and BOCES systems and staff to improve teaming between regular education and special education leading to better outcomes for all preschool children. 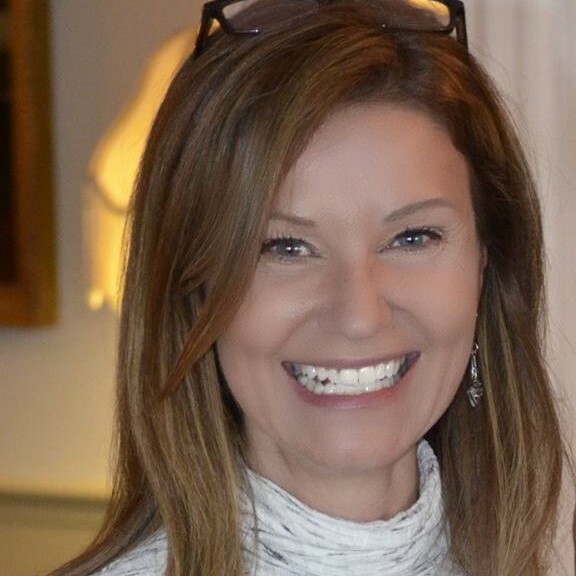 Kristen has nearly 30 years of experience working with systems, children and teaching staff in the public sector, as a teacher, University faculty member, trainer, private consultant, and coach. She is the president of a non-profit in Colorado serving children and families affected by HIV/AIDS. Kristen has a Master’s Degree in Early Childhood Special Education from UCD. 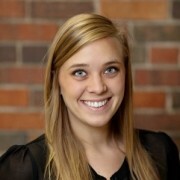 Alexandra Lee is a Program Associate with Share our Strength Colorado. She has been a professional development trainer with the Cooking Matters for Child Care Professionals (CMCCP) program since July 2014, facilitating CMCCP programming and managing early childhood and train-the-trainer partnerships across Southern Colorado. Alexandra has a Bachelor of Science degree in Early Childhood Education with a major concentration in Human Development and Family Studies from the University of Vermont. Prior to working with Cooking Matters, she has worked as an Early Head Start Toddler Teacher, Children's Cooking Instructor, and a Respite Provider as part of the Children's Extensive Support Waiver. As a Toddler Teacher, she fostered positive early food experiences through incorporating school and community gardens, as well as farmers market outings, into the toddler classroom curriculum. Dr. Jin Lee is the executive director of the Qidza foundation and is dedicated to ensure a healthy start for all kids under age five. She’s also the formerly a committee member for the American Heart Association and worked in the innovation and venture arms of Humana, 4th largest health insurance company, and Providence St. Joseph Health, 3rd largest nonprofit hospital system. She’s a mentor for multiple health accelerator programs and startups. Dr. Lee previously taught developmental psychology, biology, and neuroscience in high schools and colleges. Dr. Lee has been featured on numerous healthcare blogs and has been a featured speaker at multiple events such as the TEDxPeacePlaza, Sirius XM radio, SXSW, American Academy of Pediatrics, Aspen Institute Children's Forum, and National Early Head Start. She received her Ph.D in Developmental & Child Psychology from the University of Oxford and received her BAs in Neuroscience and Biology from the University of Pennsylvania. Since 1987 Leroy Leonard has been known as Merry-Andrew Afoot, a one person theatre company! He has shared his talent with children in schools, libraries and festivals. He was awarded a CoVisions Grant from the Colorado Council for the Arts, and was voted runner up for Best Children’s Entertainment by Colorado Parent Magazine.Though best known for his excellent children's work, Leroy is also a professional in the adult theatre world. He has appeared as an actor in roles at Germinal Stage Denver, Vintage Theater, The Edge and many other. Robin Levy has been in the field of Early Childhood Education since 1991 as a licensed family childcare provider, classroom teacher, large center director, coach, consultant, adult educator, social and emotional development specialist. Additionally, she has a strong interest in Appreciative Leadership strategies and systems. Robin has an MA in Educational Administration and Policy from the University of Denver and was a Fellow in the 5th Cohort of the Buell Early Childhood Leadership Program. Robin has extensive experience with various coaching models. She has been a member of the Colorado Coaching Consortium Steering Committee since its inception and participated in creating the Colorado Coaching Competencies, Coaching Credential, and Credential Framework. Additionally, Robin facilitated and oversaw the Pyramid Plus Coach Certification program at the University of Colorado Denver Pyramid Plus Center supporting the certification of over 150 coaches. Together, Constant and Robin specialize in transformational learning, intentional coaching, and leadership which engages professionals to make lasting, deep and sustainable changes that fosters CQI (Continuous Quality Improvement) in early childhood programs and agencies. Ann Lewin-Benham writes on early education, brain-worthy classrooms, and techniques including Emergent Curriculum and Meaning-FULL Conversation. She has published 6 books for Columbia University’s Teachers College Press including TCP’s best sellers Infants and Toddlers at Work and Twelve Best Practices for Early Education. Ann writes for early educators, parents, and policy makers to inform readers of innovative approaches that are based on current neuroscience. A 7th book on teaching and learning environmental sciences is currently In Press. Ann’s books mark her passion for embedding current, innovative practices in scenarios and vignettes – to show, not tell, how we can perpetuate children’s innate zest to know.Ann, a graduate of Bryn Mawr College, has decades of practical experience as Montessori teacher, teacher educator, lecturer, school start-up and school change agent. She has worked mainly in the inner city in Washington, D.C. and Memphis, TN with children whose families meet federal poverty guidelines. Angela Lewis is an Assistant Professor and key Adviser, Early Childhood Education Teacher + Licensure M.Ed. Specialization. She teaches graduate and undergraduate early childhood professional education courses and collaborates with a network of infant through third grade professional development school settings across Northern Colorado to provide ECE teacher candidate’s opportunities to explore and develop: (1) evidence-based curricula and instructional strategies, (2) inquiry-oriented learning and assessments, (3) culturally relevant practices, and (4) reflective teaching practices. Her research areas of interest include early childhood praxis and teacher preparation. 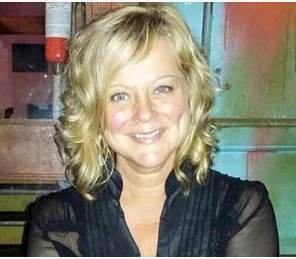 Sandi Link is a Licensed Occupational Therapist and holds a Master’s Degree in Special Education. She has over 30 years of clinical practice with children birth to five. She has provided Professional Development and Technical Assistance for Colorado Department of Education for the last 15 years. She teaches courses and provides coaching for preschool professionals on Inclusion, Developing Functional IEP’s, Social Emotional Learning, Effective Teaming, TPBA, and MasterMinds for Leaders. Nicole has been the Early Childhood Program Coordinator for Denver Zoo for just over six years. She brings experience from both the formal and informal settings to her work with over ten years in the public schools and time in museum education as well as work in Scouting and Boys and Girls Club. Nicole has a BS in Education from Arkansas State University and a Masters in Curriculum, Instruction and Assessment from Walden University. She trained in Nature Play with Brookfield Zoo’s NatureStart professional development program and spent years as a facilitator for challenge courses through the BSA. Among her most recent conference presentations, Nicole co-presented a workshop at the World of Wonder International Nature-Based Early Learning Conference in Chicago in 2018, and a poster at the Children & Nature Network international conference in Vancouver in 2017. Nicole is the Coordinator and Lead instructor for Nurturing Scientists Through Nature Play, the award-winning nature play program for preschoolers, their caregivers and classroom teachers. 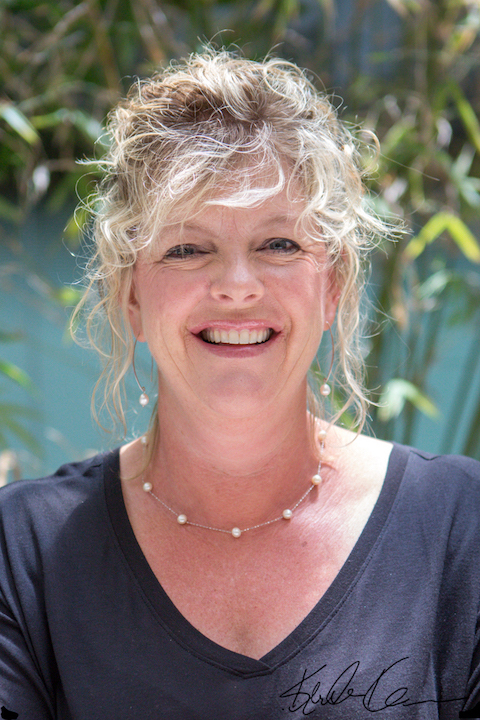 Jill Loftus, MS, OTR/L is a practicing pediatric occupational therapist and parenting coach focused on enabling and empowering children and families for over 15 years. Her experience ranges from working in schools, homes, clinics and in the community in New York, San Diego and Denver. After owning her own pediatric clinic in New York City from 2009-2013, Jill created a new company, Honest Occupational Therapy (OT) which uses creative methods to help motivate children, families and educators develop the skills needed to perform everyday tasks and be successful! Meaningful education and connections are Jill’s passions. Brittany works with CHOP sub-grantees to build a learning environment that supports and encourages healthy eating habits from a young age. Her efforts focus on building on-site gardens, providing hands-on culinary training and implementing fruit and vegetable focused classroom curriculum. Prior to her work at CDPHE, Brittany worked as a Nutrition Educator for WIC, as well as a professional chef throughout the state of Colorado. She received her Culinary Degree from Cook Street School of Fine Cooking in 2007 and continued her studies overseas at the Culinary Institute for Foreigners in Asti, Italy. Brittany also holds a Bachelor of Science in Human Nutrition and Dietetics from Metropolitan State University, and is a current Master of Public Health Candidate at the Colorado School of Public Health, Anschutz Medical Campus.Emily Bash is the Nutrition Specialist for the Early Childhood Obesity Prevention (ECOP) Unit at the Colorado Department of Public Health and Environment (CDPHE). Her work focuses on educating and implementing breastfeeding, physical activity and healthy behaviors in early care and education (ECE) settings, as well as, healthy eating, active living promotion to families with children ages 0-5. She received a Bachelor of Science in Nutrition and Food Science from Colorado State University and a Master of Public Health from the Colorado School of Public Health. 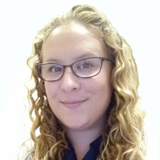 Emily is also a Registered Dietitian and Certified Lactation Counselor. Mikayla Martinez has over 13 years of experience in the field of Early Childhood Education. She has been a teacher (working with all age groups), program director, education coach and is currently the Professional Learning Coordinator for a large Head Start in the Denver Metro area. She has a BA in Human Development with minor in Early Childhood Education and MA in Early Childhood Education from the University of Colorado at Denver. She is currently working on her EdD in Leadership for Educational Equality from the University of Colorado at Denver. Lisa Matter began her work in early childhood at the age of 2, when her mom began a co-operative preschool in order to get them both out of the house. Both her parents were role models in education, with her mom reviving and then chairing the Parent Teacher Organization and her dad joining and then serving as the chair of the school board for 8 years. She regularly travels with her wife and children to visit her parents in Washington State.The most important educational period of life, infancy and toddlerhood, has been a central passion and theme throughout Lisa’s career. The majority of her time with children has been with the remarkable age group of one- and two-year-olds in a variety of high-quality child care settings. Since completing her MA in Early Childhood at the University of Colorado, Denver, she has become increasingly more involved with the Expanding Quality in Infant Toddler Care Initiative in Colorado. She now teaches adults about infant and toddler development with a focus on building the reflective capacity of caregivers in order to ensure each and every child has access to the responsive adult relationships that signify quality care in the first three years. She is deeply committed to improving experiences for all infants and toddlers, and believes that our convictions need only be equaled by our compassion in order to see the changes that will ensure a meaningful life for babies and those who care for them. Sandee McClowry, PhD, RN, FAAN is a professor in the Counseling Psychology and Teaching & Learning Departments at New York University. She is the developer of INSIGHTS into Children’s Temperament and was the principal investigator of three federally funded clinical trials that tested its efficacy. She is also the President and CEO of INSIGHTS Intervention, LLC, a business that disseminates INSIGHTS. Dr. McClowry has brought INSIGHTS to a variety of diverse communities including New York City, rural Appalachia, Jamaica, and rural Nebraska. She is currently conducting the program in Spanish-Speaking Churches in New York. Dr. McClowry has published three books including one for parents called, "Your child's unique temperament: Insights and strategies for responsive parenting and a text book for teachers, "Temperament-based classroom management. She has also written articles for academics and for consumers and has presented to a variety of different audiences such as parents, teachers, nurses, academics, and even little kids. Kiki Mc Gough has been involved in the education of students with special needs and challenging behaviors over 40 years. She has supported staff and families in Early Childhood as a school district Child Find Coordinator and as a Disabilities and Mental Health Coordinator with Head Start. Cristina House is the Program Coordinator for Denver Great Kids Head Start. Kiki and Cristina had the pleasure of working together with Head Start and found a common love of inclusion and Mister Rogers. David McMurtry Empowers the Adults that Inspire our Youth! He discovered his calling for supporting and empowering children while working as a child advocate within the foster care system and living in a South African township in his early twenties. Since then David has taught, coached and worked with infants through high school students for the past 18 years. He is committed to giving teachers, parents and children the tools they need to not only succeed but live the life of their dreams. 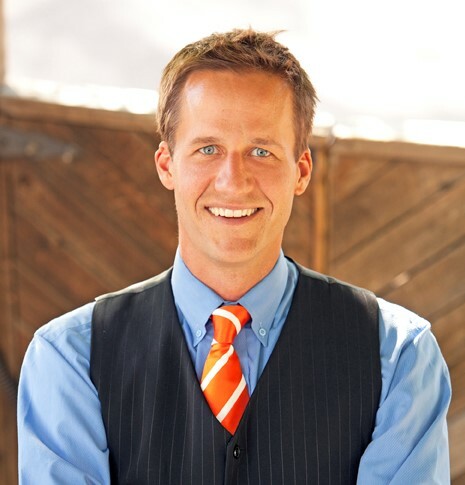 In addition to public speaking and his life-coaching business at www.lastingmotivation.com, David owns and runs a school serving 170 children in Northwest Denver. 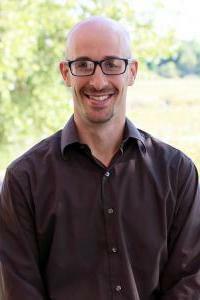 Chris Miller is the State Child Find Specialist with the Colorado Department of Education (CDE) and a doctoral candidate at the University of Colorado Denver. Prior to joining CDE he worked as a school psychologist, preschool mental health specialist and child find coordinator. 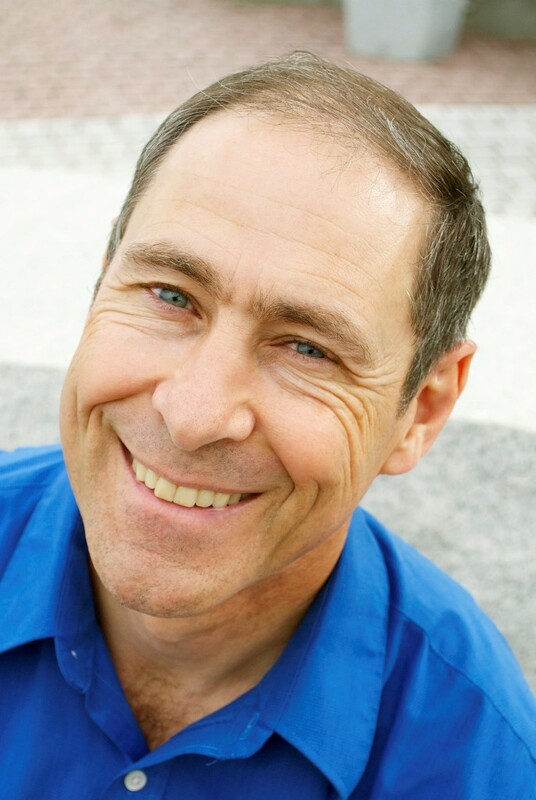 He has trained extensively across the US and Colorado on authentic assessment measures, including the Routines Based Interview and Transdisciplinary Play-Based Assessment, helping early childhood professionals to understand their cultural relevance and usage with children and families from diverse backgrounds. He additional represents CDE on a national training project to create a framework for family, school and community partnerships, for use across the state. 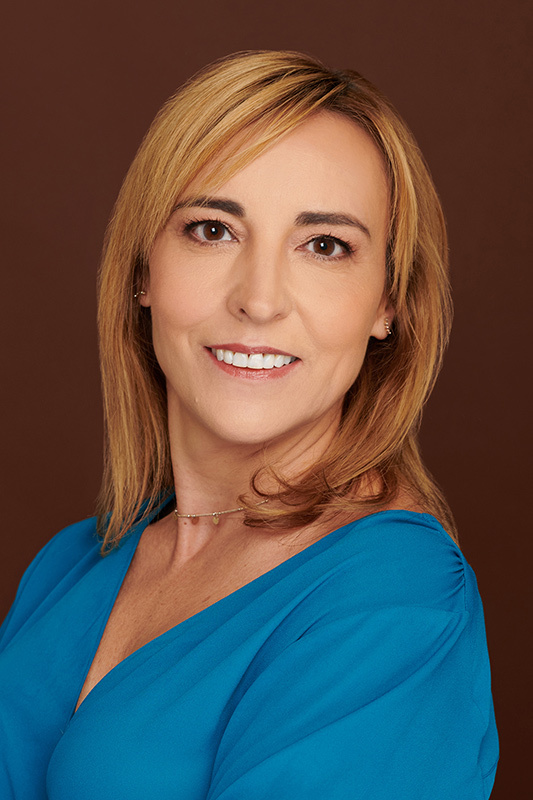 Dr. Martina Miranda is an Associate Professor of Music Education at the University of Colorado at Boulder where she teaches elementary music methods courses, graduate music education courses, and supervises field experiences. Dr. Miranda has a strong background of over 16 years of classroom teaching experience in elementary general music and chorus. Dr. Miranda has focused publications and presentations on two topics of primary research interest: Developmentally Appropriate Practice for Prekindergarten through Second grade children in general music classrooms, and teaching experiences based on reflective practice models for undergraduate and graduate students. Dr. Miranda holds Orff and Kodály certifications, and has professional affiliations with the Early Childhood Special Interest Group of the National Association for Music Education, the Society for Music Teacher Education, the American Orff-Schulwerk Association, the Organization of American Kodály Educators, and the National Association for the Education of Young Children. Susan M. Moore, JD, MA. 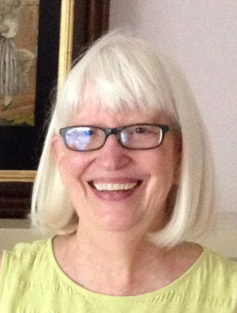 CCC-SLP is a Clinical Professor Emerita and former Director of Clinical Education and Services at the University of Colorado, Boulder in the Department of Speech Language Hearing Sciences. 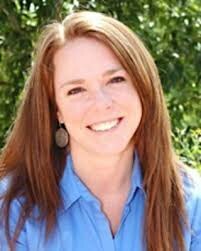 She also holds a faculty appointment in the School of Education and Human Development at University of Colorado Denver and Health Sciences Center, where she currently teaches graduate coursework in early language and literacy for the Boulder Journey School. Her areas of research, publication, presentations, and program development include early language and literacy learning, bilingualism, advocacy, culturally responsive and family centered partnerships and practices for young children and families from culturally, linguistically, and ability diverse backgrounds.Susan has been author and director of over thirty state and federally funded personnel preparation projects and is a nationally recognized speaker with well over 150 state and national presentations. Susan’s expertise in child language acquisition, differences, and disorders, and her career in teaching and professional development, span two generations of new teacher educators, bilingual SLPs, SLPAs, early childhood specialists, and bilingual providers.As a community advocate, Susan is a member of the Boulder County Early Childhood Advisory Council and is a certified Touchpoints Facilitator. Alex Morgan is the Community Outreach Specialist at Boulder Journey School. In this position, she works with teachers and children to support investigations in the classroom. In addition to supporting classroom work, she designs and coordinates professional development opportunities to encourage adult learning, both locally in Colorado and at conferences and workshops around the country. Additionally, Alex is an instructor in the Boulder Journey School Teacher Education Program. Alex is passionate about weaving inspirations from Boulder-based educators, Frances and David Hawkins, and the educators from Reggio Emilia, Italy into her work with adults and children as they discover, uncover, and mess about. She has shared this work through articles, conferences, and presentations, including TEDxBoulder. I am a doctoral student in special education, early childhood special education (ECSE) at the University of Northern Colorado (UNC). My research interests include leadership in EC/ECSE, family-centered service delivery, evidence-based instructional practices for children with autism and parent-implemented interventions. Currently, I am a graduate research assistant at the Bresnahan-Halstead center at the UNC. Hayley believes in the power of art as a resource for learning and cultivating imagination. She has worked across age levels at a variety of institutions, from the Nelson-Atkins Museum to a startup charter school dedicated to arts integration. She was a classroom teacher with Teach for America in Charlotte, NC for four years before returning to museum education. 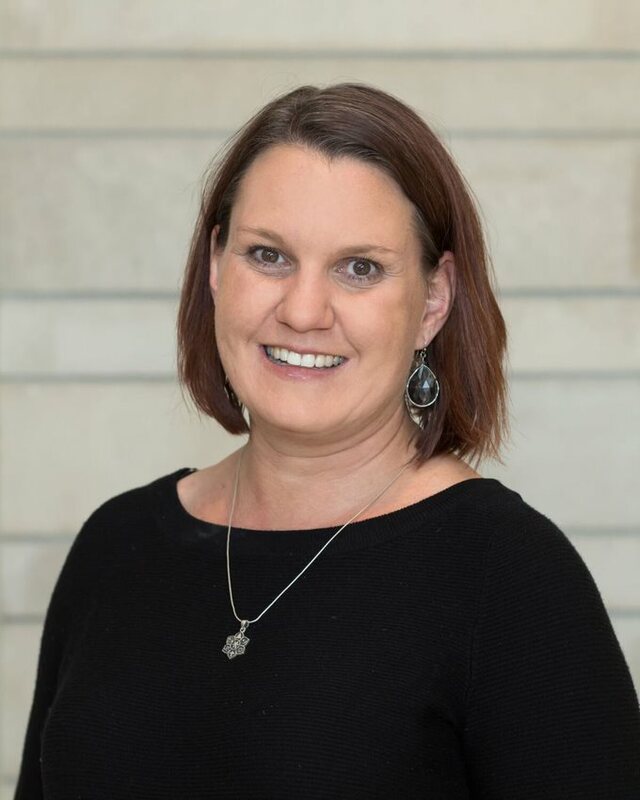 She is originally from the Kansas City area and is thrilled to be a part of the Denver Art Museum team as the Coordinator of Teacher & School Outreach Programs. She has a B.A. in Art History with a minor in Arts Administration from Texas Christian University, and is a proud graduate of Bank Street College in New York with an M.S. Ed in Leadership in Museum Education. Vincent Nunes received his JD at Syracuse University College of Law in 1977, and began his career as a litigator. A lifelong musician, composer and performer, Vincent continues on parallel courses of music and law to this day.When Vincent’s daughters were born, he began to focus his compositions on music for children. Early on he recognized that a child only becomes interested in something when it is interactive, when he or she has a part in it. Consequently, all of Vincent’s songs are associated with activities, especially gestures and simplified sign language.Vincent has released ten nationally distributed CDs, which have won numerous national awards including the Family Choice Award, Parents' Choice, NAPPA, Parent's Guide to Children's Media Award, Tilliwig, KidsFirst! Parents' Picks Award and ASCAP. His songs are curriculum-based and terrifically entertaining. 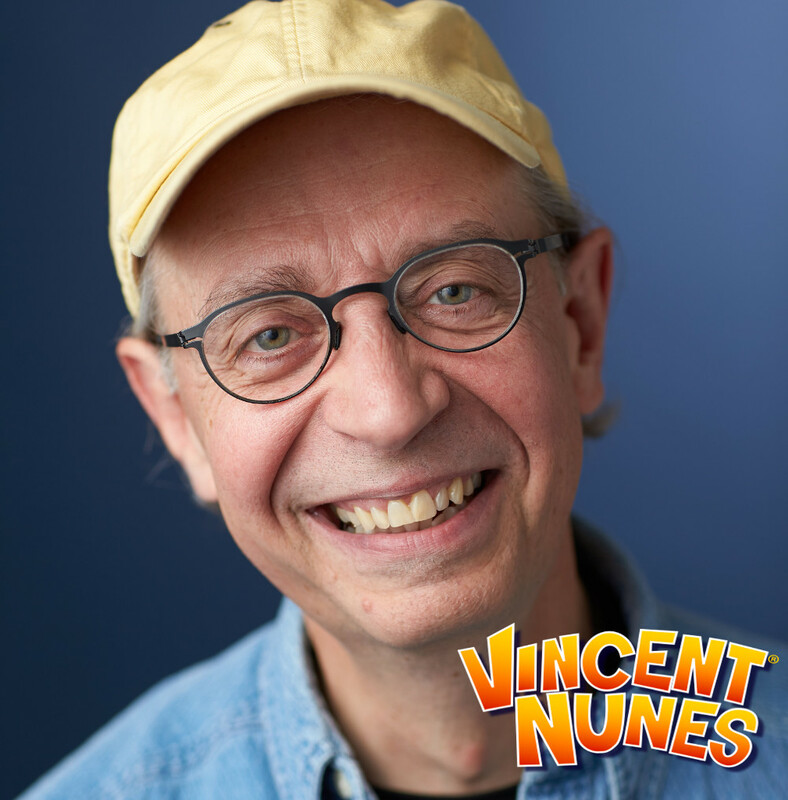 As a regular performer at schools, museums and libraries, Vincent has also given keynote presentations and workshops at conferences since 1989. His website is www.VincentNunes.com. Margaret Ochoa, J.D., is the Child Sexual Abuse Prevention Specialist for the School Safety Resource Center at the Colorado Department of Public Safety. In that role, she provides resources for school personnel, students, and their communities to identify, prevent, and respond to sexual abuse and assault. Previously, Ms. Ochoa worked as an Assistant County Attorney in Jefferson County, Colorado. She was primarily responsible for dependency and neglect proceedings, and advised the Department of Social Services in every aspect of child protection. She earned her law degree from the University of Nebraska-Lincoln, as well as her Bachelor’s Degree in Journalism. Ji Hyun Oh is an Assistant Professor of Inclusive Early Childhood Education at the University of Colorado Colorado Springs. She previously worked as a kindergarten and preschool teacher in South Korea and Oklahoma, and important components of her teaching included 'Eco Early Childhood Education,' 'Project Approach,' 'Play-based Learning,' and ‘Anti-bias Education.’ Ji Hyun has taught multiple undergraduate courses including Learning through Play and also has worked as a university field supervisor. Her research interests include children’s play, play environment, and early childhood teacher education. 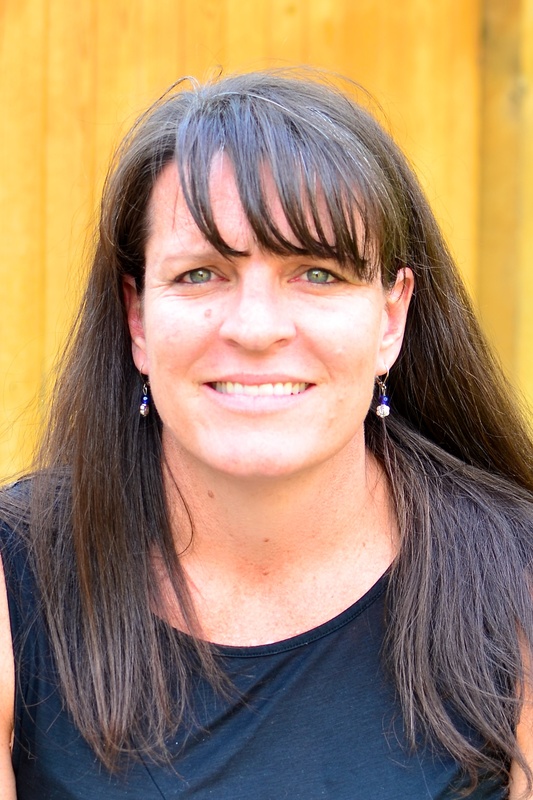 Jamie Olson has been a Colorado educator for 17 years as a classroom teacher, Title 1 Reading Specialist, Literacy Coach, and Dean of Instruction in the Roaring Fork School District. She holds a bachelor's degree in English and Elementary Education and a Master's degree in Literacy. Currently, Jamie works as a Senior Literacy Consultant in the Metro region for the Colorado Department of Education. She lives in Highlands Ranch with her husband and two young boys. Hazel Osborn holds degrees in Psychology, Sociology, and Anthropology, and an interdisciplinary Master’s degree with a focus on Work and Family Issues. Her diverse work with early childhood, teen, and elder populations led to consulting, training, researching, and writing. Her clients have included hundreds of child care centers, and national, regional, and local agencies, including both public and private institutions such as the National Institutes of Health (NIH), NAEYC, NAFCC, and Head Start. She has published over two dozen curricula, studies, and articles for professional venues, as well as two books. Her focus is on work and family life issues as well as parenting and child development. Hazel also enjoys active involvement in volunteer community efforts. Born in Valencia (Spain) Alberto has worked in Education for over 10 years and has two Masters, in English and Spanish Studies. Before he moved to the US, he was a teacher in an elementary school in Madrid and coordinated the SUNY Albany Study Abroad Program in Valencia. He taught high school in Charlotte (NC) for several years and worked for Denver Public Schools prior to work for Denver Public Libraries . Currently part of the Early Learning team, Alberto coordinates the Read Aloud Program in the Montbello and Green Valley Ranch neighborhoods, reads aloud at preschools, offers workshops to families and professionals both in Denver and natioanllu and he is one of the coordinators of Phone-a-Story. He is passionate about outreach and loves taking library resources to the street. In his free time Alberto reads (over and over and over) books about trains and planes with his two sons in Spanish, English and Catalan. Clara Pérez-Méndez; owner and founder of Puentes Culturales, www.puentesculturales.com, is a bilingual Spanish-English cultural mediator who works with school Districts providing bicultural training. Clara has a wealth of experience working with families. She is a consultant with the Colorado Department of Education in training school-based teams for special education that work with children from culturally and linguistically diverse backgrounds.Clara has been a consultant for the University of Colorado at Boulder since 1995, focusing on developing cultural competence in early childhood assessment. Clara was the Child Find Clinic Bilingual Coordinator at Boulder Valley School District.Christopher Miller, CDE Child Find Specialist (miller_c@cde.state.co.us) is a CDE consultant engaged with Puentes Culturales with early childhood teams and programs in Colorado preschool districts and programs. 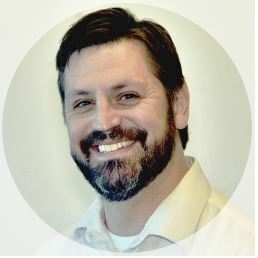 Chris provides resources regarding accurate and reliable assessment and and works with other CDE consultants to respond to the needs of Colorado district early childhood programs across the state. Katherine Plog Martinez serves as the Director of Strategic Initiatives on the Early Education Team in Denver Public Schools (DPS) and provides staffing to the Road to Reading Partnership. In her tenure with DPS Katherine has supported afterschool programming and community partnerships, Whole Child supports, and helped launch the Denver Afterschool Alliance. Prior to joining DPS, Katherine trained thousands of afterschool providers, educators, and parents in positive youth development while working at Assets for Colorado Youth. Katherine received a Bachelor of Arts Degree in English from Trinity University and Master of Science Degree in Youth Development from Kansas State University. 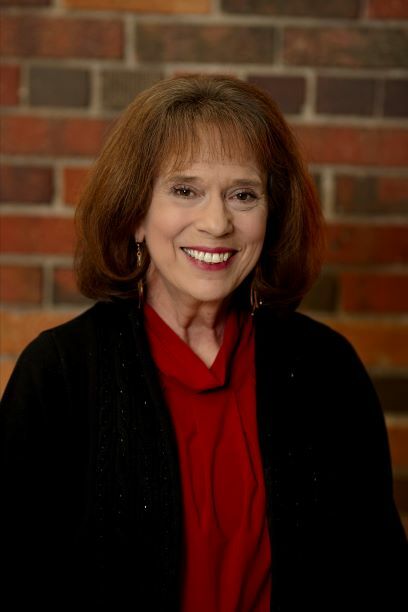 Dr. Pollman is professor emerita of early childhood education at Metropolitan State University of Denver. She received her PhD in early childhood education from Florida State University. A former preschool lab teacher at Florida State University as well as kindergarten, 1st-, and 3rd-grade teacher, Dr. Pollman taught for 30 years in higher education and continued her study of early childhood in Australia, Italy (Reggio), Japan, Germany (Froebel), and Canada. She has spent the last four years developing Arts-STEM curriculum in primary after school programming in low performing schools in Denver through a 21st Century College Readiness schools in Denver through a 21st Century College Readiness Grant, a partnership between MSUD and the Denver Public School’s Office of College and Career Readiness. At the end of 2018 and in 2019 she will be working to promote the Leonardo da Vinci exhibit that will be at the Denver Nature and Science Museum, beginning March 2019, doing parent workshops for parents of young children. I've worked with children in libraries for 15 years, planning and presenting age-appropriate storytimes for babies, toddlers and preschoolers, as well as special events for older children and teens. My main focus is on early literacy and I've attended numerous trainings on ALA's Every Child Ready to Read program, as well as trained other library staff, parents and preschool teachers on how to get young children ready for reading by using the ECRR goals. I've also received certifications to teach baby sign language and children's yoga and incorporate these two programs into regular library offerings. I served as the CATS Secretary in 2017 (the children's and teen services division of CAL - Colorado Association of Libraries) and helped provide professional development opportunities for library staff working with youth. I currently serve on the CLEL Bell book award committee through the Colorado Libraries for Early Literacy (CLEL) organization. Lupita is originally from Chihuahua, Mexico. She holds a double major in English and Modern Languages. Lupita describes that she grew up in an environment that lacked books, but that did not stop her from cultivating a love for books and reading. 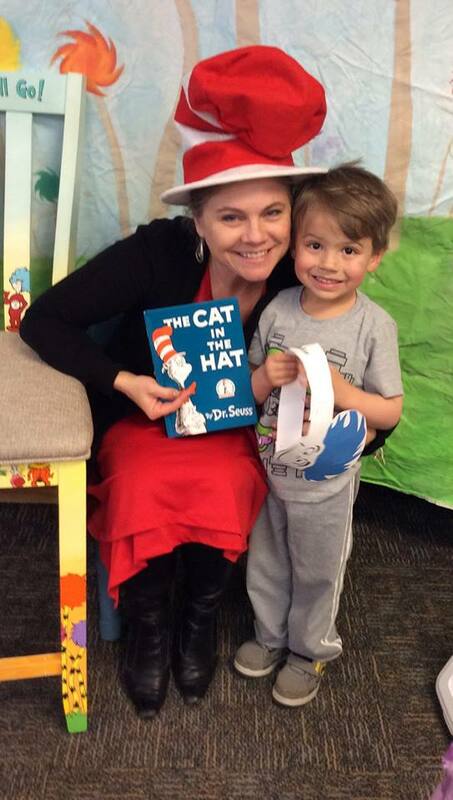 She has worked for the Denver Public Library for 13 years, and volunteered for the Read Aloud Program for 4 years shortly after starting working in DPL. Last summer Lupita joined the Early Learning Department where as part of her outreach work, she still gets to enjoy reading aloud to young children and also presenting to parents about the importance of early literacy. Currently, she is part of the Best & Brightest Committee which chooses (among others) the best Spanish language books for children 0 to 12. 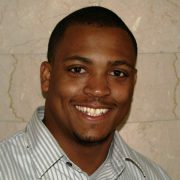 Andre Ransom is a consultant whose expertise encompasses all aspects of child care center development, operations, and training. She has authored many articles and designed workshops related to management, operations, training and government relations. Andre received her B.A. degree from Xavier University in Chicago, Illinois and her Master's Degree from the University of Colorado. She was the founder of Children's Enrichment Development Company which grew to operate fourteen early care and education centers in the Denver metropolitan area from 1978-1994. Since then, Andre has done consulting and training in the field of early care and education. She is the founder of the Early Learning Leadership Institute which provides a 45hour leadership and management course for directors, owners, administrators, and board members of early care and education programs. Andre has been an active participant on many national and local boards. She is the recipient of the Dan Kingsbury Award for distinguished service in the field. Theresa Rapstine, RN is the Coordinator for Healthy Child Care Colorado and a Child Care Health Consultant for Children's Hospital Colorado. Theresa’s 32-year background in Pediatric Emergency Nursing provides her with a passion to educate fellow child care health consultants and serve as a strong community organizer. Theresa has worked as a child advocate to ensure their health and safety, particularly in the early childhood environment. 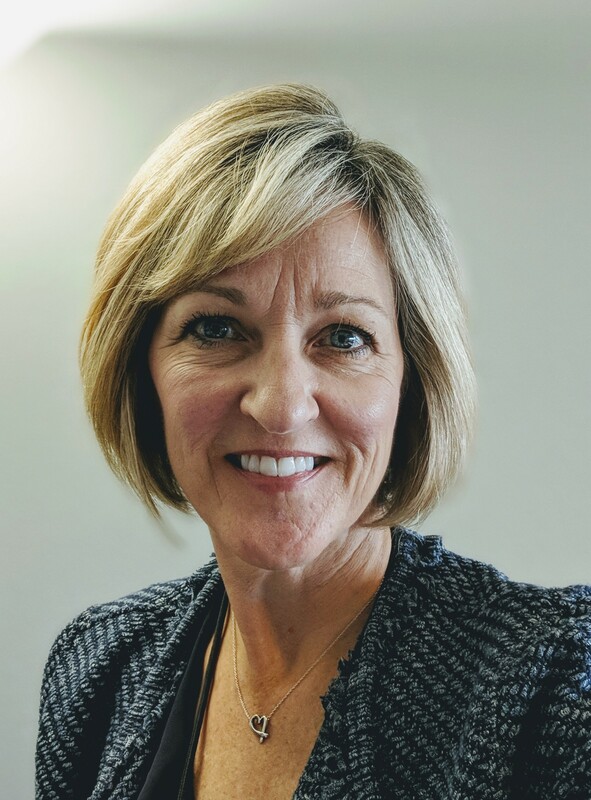 Currently, Theresa serves as a resource for health consultation in Colorado where she advises over 1,800 health consultants and child care programs a year on best practices in health and safety in child care. Ben Riepe began his work in early childhood as a teacher in Head Start. He taught at Creative Options for seven years before working as a coach and trainer for six more. He has worked at the Pyramid Plus Center for Social Emotional Competence and Inclusion for the last five years, working in a variety of communities around the state to support the implementation of high quality inclusion practices and reduce challenging behavior. Ben is a member at large on the CoAEYC Board. Annalise Romoser is the the Colorado mobilization manager for Save the Children Action Network (SCAN) where she organizes and trains community members to advocate effectively for increased investments in early learning programs at the state and federal level,and for greater investment in maternal and child survival programs internationally. Prior to working with SCAN, Annalise served as Latin America program manager for the Environmental Investigation Agency and, previously, as director for public policy and advocacy at Lutheran World Relief. She holds a master’s degree in Latin American studies and international migration from the University of California, San Diego. 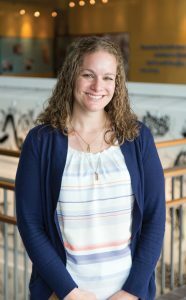 Dr. Amanda Rutter is an Assistant Professor and Early Childhood Program Coordinator at the University of Northern Colorado's Center for Urban Education. She began her career working with young children as a youth swim coach and a pre-kindergarten teacher, working with diverse populations and ages. Now, as a professor, Dr. Rutter advises early childhood education students and teaches early childhood courses. Dr. Rutter's research interests include how to recruit and foster minority teachers within education, teacher retention and turnover, best practices and exploratory learning environments, and male teachers in the field of early childhood education. She also focuses on teacher expectancy bias and how to over bias in changing societies to increase equity within the education system. Dr. Diana Schaack is an assistant professor at the University of Colorado Denver, School of Education and Human Development. Her research focuses on the relationships, settings, and policies that facilitate optimal teacher and child development within the context of early care and education settings. Dr. Schaack has been a co-investigator on studies examining factors related to ECE student degree persistence, the effectiveness of ECE B.A. cohort models, a federally funded study of ECE teacher preparation coursework, and has led several state’s early childhood and home visitor workforce studies. She has extensive experience overseeing large studies of preschool quality and teacher effectiveness. Carla Sciarrino holds a B.A. in Child Development with a concentration in children 0-5 and their families from San Francisco State University and a Master in Social Work from Smith College. She has worked in the child care and education fields for 14 years before pursuing a career as a therapist. As a therapist Carla has worked with young children, adolescents, the LGBTQ community, and clients who were living with HIV/AIDS in San Francisco, but her passion lies with young children and their families. After moving to Colorado, Carla joined the Early Childhood Family Services team at the Jefferson Center for Mental Health and provides consultation to child care centers and preschools in Jefferson County.Andrea Santis holds a Graphic Design degree that she earned in Chile; She has worked in education and schools for 12-years before a pursuing a career as a Preschool teacher. She has teaching experience in Elementary public schools in Chile as well as Art with adults in different institutions in Chile. She was also Private studio owner with summer and winter camps for children ages 4 to 12 years old in Chile. After moving to Colorado, Andrea furthered pursued her passion for early childhood and has worked at The Children’s Center At Red Rocks Community College as a lead teacher since 2009. Melissa Schwartz is an Author, Speaker, Transformational Parent Coach, Co-founder of Leading Edge Parenting and a respected expert in the field of Highly Sensitive Children. Melissa and brings clarity, personal experience and compassion for parents raising HSCs. She has been working with children for more than 15 years and has co-authored Authentic Parenting Power. Melissa is a Stanford University alumna and a graduate of the University of Massachusetts at Amherst. Dorothy Shapland Bio RMECC 2019As an Assistant Professor of Early Childhood Education at Metropolitan State University, Dorothy works to equip the Early Childhood workforce with the tools to address current challenges in the field and to serve our youngest and most vulnerable students with love and passion. With more than 30 years of experience teaching throughout the Denver Metro area, Dorothy brings a wealth of practical know-how to her work. Never satisfied that she has mastered enough to bring the best to every student, Dorothy is a perpetual student and is currently a Colorado licensed teacher of: Early Childhood Education, Elementary Education, Secondary English, Culturally & Linguistically Diverse Education, Gifted and Talented Education, Special Education and Instructional Technology, and holds Child Care Center Director Qualification, AMS Montessori pre-primary certification, Colorado Early Childhood Professional Certificate Level VI, and a Masters in Educational Leadership for ECE from the University of Denver as well as a Doctorate of Education in Leadership for Educational Equity for ECE from the University of Colorado, Denver. Dorothy has presented a variety of sessions at RMECC over the years, and is excited to share her perspective at this year’s conference. Lori A. Sheerin M.A.ED, Human Development, The George Washington University ,1989; BS, Special Education/Elementary Education, Slippery Rock University ,1984. Lori has spent more than 30 years working in the field of Early Childhood. Roles include: Developmental Interventionist, PLAY Project Consultant, Early Intervention provider, Consultant, Advocate, Pueblo, Colorado 2015-Present; Kindergarten teacher, The McClelland School, Pueblo, Colorado, 2015-16; EI Developmental Therapist, PLAY Project Consultant, Easter Seals, Peoria Illinois, 2011-2015; Early Childhood Special Educator, Fairfax County Public Schools, Virginia,1985-92, 2001-11; DI, ECE, Advocate, Consultant, Fairfax Virginia, 1992-11; Parent educator, Loudoun County DSS, Leesburg,Virginia,1992-04. Memberships include NAEYC, CEC, Autism Society, Pueblo Early Childhood Council, Interagency Coordinating Council. Her passion for working with children and families living with Autism Spectrum Disorder was inspired by the iconic Stanley Greenspan during studies at The George Washington University; resulting in training and credentialing as a PLAY Project Consultant. Andrea Sisbarro is one of the School Directors at Boulder Journey School, where she has been employed since 1995. Andrea works closely with classroom communities supporting curriculum development, family partnerships, organizational systems and learning environments. Andrea has a BA in Psychology from the University of Colorado Boulder and a MA in Early Childhood Education from the University of Colorado Denver. Esther's love of language and culture began as a child in Japan. Despite the challenges of living abroad (like trick-or-treating in 1970s Tokyo...) she developed a fascination with Japan and the many ways culture and language brings people to life.As an adult she worked in Chile and Brazil briefly and lived in France for five years. Her experiences abroad became the framework for her teaching in the United States.Now, after many years of teaching, she presents to bring language learning to the forefront of consciousness. And with a little humor, and a lot of experience, she hopes you will learn and become curious about the many ways language and culture make our world. Jessica Smolleck is the School Readiness Parent Engagement Program Coordinator for Grand Beginnings in Grand County. Jessica has over 14 years’ experience in education with dual degrees in Elementary/Special Education, as a toddler teacher for five years and as early education trainer. Her interest in supporting children who have challenging behavior was tested as the need for training in trauma came as an adopted mother of two children from the state foster care system. Jessica is a certified coach and trainer for Pyramid Plus Approach to reduce challenging behavior in the classroom and home. Jessica graduated from the 2015 Family Leadership Institute Cadre, provides technical assistance to early childhood providers as the QRIS navigator and coach and is director of Ready! for Kindergarten Parenting program. She is currently completing her Masters of Education from the Erikson Institute in Early Childhood Leadership and Advocacy as well as a third bachelors in Early Childhood Education. Meet your driven, fun, aspiring nonprofit professional with a passion for travel and boundless learning.I have been working for Denver's Early Childhood Council as the Professional Development Assistant for 3+ years and gratefully transitioned into my new position as the Career Pathways Coordinator in April of 2018. With the help of the Council through their dedication to staff PD, I have received a credential as a Signing Time Instructor, which enables me to train 0-8 yr teachers on how to implement and use American Sign Language in their classrooms. The innovative and world-changing work that The Council does combined with my love for working with and helping people created the perfect environment for me to grow with the Career Pathways Team and develop my communication, problem-solving, and creative-thinking abilities as well as discover my love for adult learning. Cerissa Stevenson is an Associate Professor and Early Childhood Education Program Coordinator at Colorado State University. She has nearly a decade of P-3 teaching experience. She has served as an instructional coach and literacy interventionist as well. Currently her research interests include school readiness, clinical experiences and partnerships to best prepare teachers, and literacy. She is an experienced program director, teacher, and adviser who has developed and managed teacher preparation programs, supervised and evaluated students’ development and collaborated with stakeholders at the university, school districts, and the Department of Education. She is a dedicated professional drawn to environments that promote excellence and foster the greatest potential in young children, their families, and their teachers. Crystal Stueve has been working in the field of ECE for over 25 years in varying capacities, from teaching to large center director. Currently, she is the site director and coach for The Wild Plum Center, the Early Head Start and Head Start of Longmont. Crystal holds a Master's Degree in ECE with an concentration in Administration and Leadership from CU Denver. She also serves as a member-at-large on the Colorado Association for the Education of Young Children (COAEYC) Board of Directors. Marlena Suazo has a bachelor’s degree is Child and Family Studies from the University of Wyoming. She has worked in early childhood with various Head Start and childcare programs for over 22 years in many different capacities. She has been with the Region 8 T/TA network since February as a birth to age 5 Early Child Specialist. Ayelet Talmi, PhD is an Associate Professor of Psychiatry and Pediatrics at the University of Colorado School of Medicine and Children’s Hospital Colorado. She has worked in childhood mental health for over two decades. Dr. Talmi is actively engaged in clinical, research, and policy efforts focused on building sustainable service delivery systems for children and families including behavioral health integration in primary care settings, early childhood, and workforce capacity development in Colorado and nationally. Dr. Talmi is a Graduate Zero To Three Fellow and Past President of the Colorado Association for Infant Mental Health. 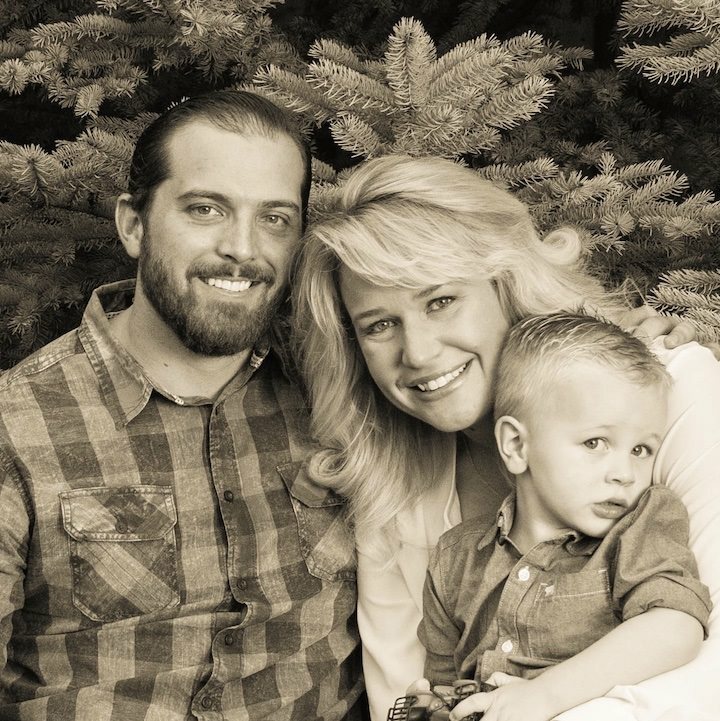 Fatherhood Program of Routt County Coordinator – Since 2016 Tom has provided a number of services to the community in Routt County including: parenting classes and workshops, one-on-one support, referral services and networking activities for fathers. Prior to his time in Routt County he worked for the Colorado Department of Public Health and Environment (CDPHE) where he spent four years managing tobacco, retail marijuana and violence prevention grants. In addition to being a former stay at home dad, he also spent many years volunteering for organizations that benefit children and their parents including the Ronald McDonald House Charities and Boot Camp for New Dads. Danielle M. Varda, PhD is the CEO of Visible Network Labs and an Associate Professor at the University of CO Denver in the School of Public Affairs. Dr. Varda directs VNL’s data science company that hosts the Aspen platform, including apps and web based tools to track the progress of network interventions and the largest database of cross-sector interorganizational networks. These include the Robert Wood Johnson Foundation funded PARTNER tool, a social network analysis survey and analysis tool and the Person-Centered Network (PCN App), a tool to assess the strengths and gaps in a person’s personal support networks. In addition to her position at SPA, Dr. Varda is also holds a secondary appointment in the Colorado School of Public Health, Department of Health Systems, Management, and Policy. She holds a courtesy Associate Professor appointment in the School of Information Sciences at the University of CO Boulder. She is Director of the Center on Network Science (www.center-networkscience.net), Director of the Nonprofit Concentration in the MPA program, and Director of the Network Leadership Training Academy (www.networkleader.org) held annually in Denver at the School of Public Affairs. She sits on the AmeriCorps NCCC Federal Advisory Board, and is an alumn of the AmeriCorps NCCC (Class 5 and 6). Her most important accomplishment is the job of mother to three spirited girls. 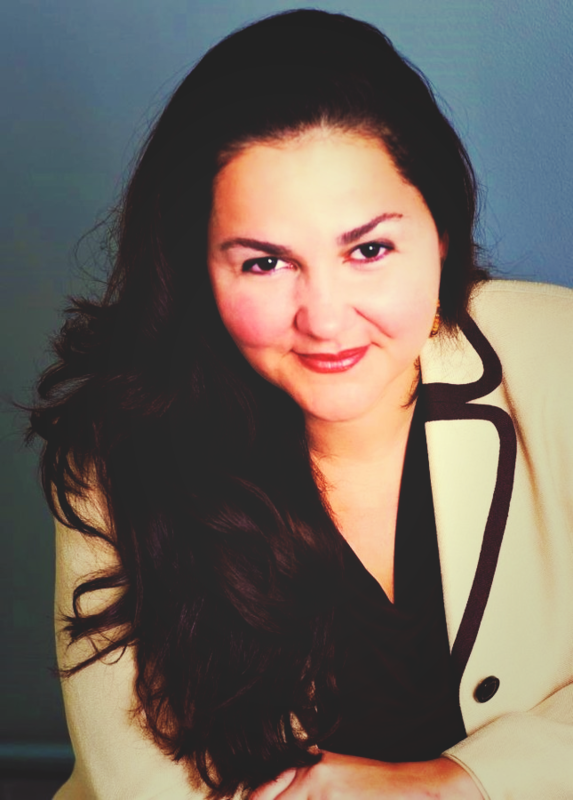 Maria Velasco, Intercultural Training and Consulting Manager, has over 15 years of consulting and training experience in the field of diversity, inclusion and cultural competence. She has designed and facilitated training programs and consultation services to support organization’s efforts on building cultural awareness and promoting a culture of inclusion. Maria has partnered with numerous organizations to successfully implement sustainable diversity and inclusion initiatives. Her projects include those in education, healthcare, mental health, technology, scientific, government and non-profit organizations throughout the U.S. Maria use Appreciative Inquiry methodology to build inclusive cultures and foster intercultural understanding.Born and raised in Salamanca, Spain, Maria has a BA in Business Administration and is a Certified Cultural Competency Trainer by the Cross Cultural Health Care Program. She has a Masters in Organizational Development and Leadership from Fielding University..
ANNE MEEKER WATSON, Ph.D, is the founder of the SING.PLAY.LOVE.® program. Through her writing, product development and workshops, she shares information about the benefits of music and play for supporting early learning and kindergarten readiness and gives easy and practical strategies for embedding both into the daily lives of young children. Her program is being used all over the country and across the globe, most recently making its debut in India, Nepal, and Bangladesh.Anne has taught music to students from preschool through college levels. She received the Excellence in Teaching award given by the Learning Exchange, Kansas City Chamber of Commerce, and the Kansas City Star. She was a commission member of the Housewright Symposium on the Future of Music Education sponsored by the Music Educators National Conference.Anne’s specific research interest is the use of music for helping with the self-regulation skills of young children. She was invited to share her work at the National Training Institute Addressing Young Children with Challenging Behaviors. She has been a frequent trainer and presenter across the country, including conference presentations for the National Center for Parents as Teachers, National Zero to Three Conference, National Association for Music Education, and the American Music Therapy Association. Her research on music to support early language was published in the International Journal for Research in Music Education.She is the author of the popular Baby Sing & Sign book series. Her music CDs for children won NAPPA and Parent’s Choice Honors awards. Anne lives in Kansas City, Missouri with her husband. When not on the job, she enjoys kayaking, snacking, and dancing to the song “Uptown Funk” in her kitchen. She believes the world would be a better place if everyone would just take an afternoon nap. Laura Weilert lives by the motto of “we wonder more to have fun more”. Wondering has taken Laura along many work paths including pharmaceutical chemistry and human services administration. Getting outside the world of research science early after university, for Molecular Biology, has interfaced her to the larger society and how all ages experience science and STEM more broadly. 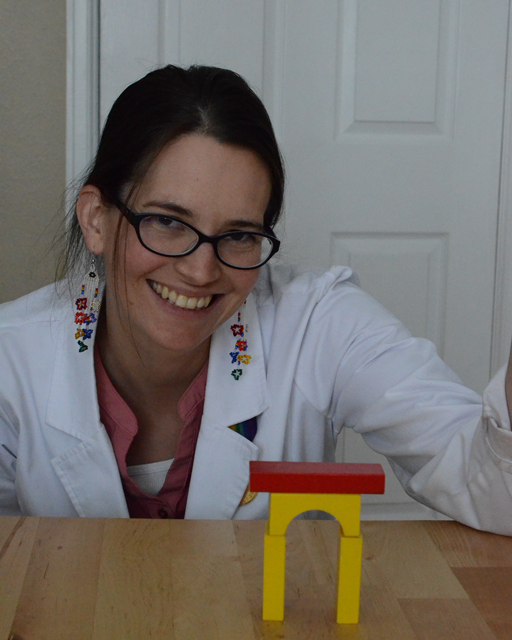 Laura has been an informal teacher of STEM since introduced to it in 2006. Now she is an Early Childhood Teacher in Colorado Springs. There she is owner of that Science Fairy, a STEM enrichment service primarily for preschoolers. Tess is passionate about high quality early childhood education and values project-based learning in the classroom. Her teaching experience ranges from third grade to infancy in public schools in Minnesota and inclusive Head Start classrooms in Colorado. She is currently an education coach for a non-profit preschool organization in Denver called Mile High Early Learning. She enjoys inspiring teachers to tap into their creative exploration in order to reach their professional goals. She has a B.S. in Early Childhood Education with a minor in Special Education from the University of Wisconsin-Stout and will graduate with an M.S. in Human Growth and Development in Urban Leadership. Tyler received her B.S. From CSU in 2014 and has been teaching young children since 2014. She currently works in a mixed-age young preschool classroom with ages 2.5-4 years. She presented at RMECC in 2016 about Project Based Learning in a Reggio Emilia-inspired setting and published "A Community of Eaters: Bringing Families Together through a Classroom Food Blog" in Exchange Magazine's October 2017 edition. Deborah Young, EdS, PhD. Deborah has been involved in human rights and social justice with a focus on early childhood issues for over 35 years. She has worked in nine countries using participatory action research for community change; developed training programs for educators on issues of human rights, diversity, critical pedagogy, transformational education, early childhood care, development and education; and has worked deeply on issues particular to gender discrimination focusing on woman’s issues and empowering and issues with children 0-8 years of age. She has developed the 5-Step Empowering Communities model, Community | Education | Participation | Empowerment | Transformation that is based on local primary caregivers building trusting relationships through home visit programs in their village sharing information with neighbors to increase their quality of life and move toward a more just society. Deborah is a coach, trainer, researcher, and professor of early childhood. She is presently on the board of COAEYC. Elyse is an early childhood consultant, center director, coach, trainer, advocate and parent- in no particular order. She has worked with children in various capacities since high school. Her path to early childhood education formally began in Los Angeles, where she taught preschool and third grade before moving to Denver in 2001. Elyse spent her first five years in Denver as the Education Coordinator at the University of Denver's Bridge project, supporting preschoolers through college students in Denver's housing projects. When her own daughter was two years old, Elyse accepted the position of Director at Temple Sinai Preschool, where she was fortunate to be part of an incredible learning community and tour Reggio inspired schools throughout the country. In 2012, Elyse moved to Florence Crittenton Services, where she directed and grew the Early Childhood Education program within the school's teen parent program. She now is the Director of Plum Hill Preschool. She began in July of 2018, while Plum Hill was working on obtaining their license. 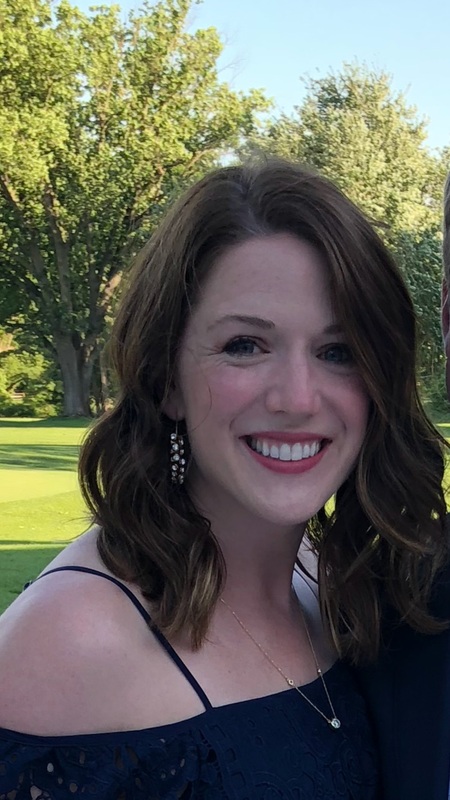 She is excited to help grow a new program and community.In her spare time, Elyse consults with families, schools, and the Denver Early Childhood Council as a licensed trainer for the state of Colorado. She has earned a Master's Degree in Early Childhood Education, a Level Five Early Childhood Credential, and is deemed an Advanced Trainer by the State of Colorado. Elyse believes children learn best when they are provided a safe, loving, and respectful environment and is excited to empower others to help grow our tiny humans into healthy and happy adults. Manda Baker is the Early Childhood Program Specialist at Denver Zoo, where she facilitates the Zoo’s award-winning Nurturing Scientists Through Nature Play program. She has been at the Zoo since 2016. 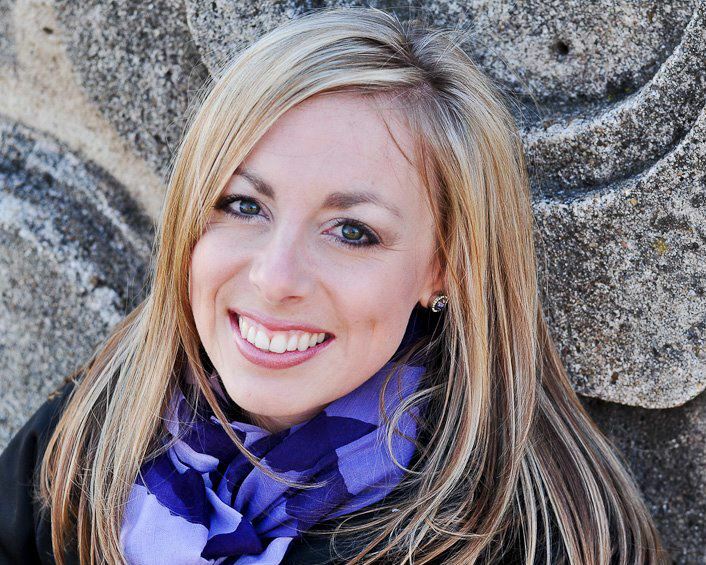 Previously, Manda taught preschool for 4.5 years in the Cherry Creek School District. Manda has a Bachelor’s Degree in Music, and initially thought she’d pursue a music career. Then fell into the world of Early Child Education and hasn’t looked back since! As a nature enthusiast Manda loves helping students to find their own love of the outdoors, whether it’s digging for worms, exploring in the trees, usually looking for “treasure”, or just sitting and breathing in the calmness nature can create. She is a Colorado native and loves any opportunity to spend time in the mountains. Louisa is the Director of Strategic Initiatives for the Early Education Department at Denver Public Schools. In this role, she works collaboratively with the City, Mile High United Way, early education providers, and community partners to support the Road to Reading Partnership. Previously, she has worked as an education policy researcher, analyzing state education policies ranging from funding to teacher leadership issues. Louisa taught middle school special education as a Teach for America corps member. She has worked for a member of the Colorado House of Representatives and completed a fellowship at Padres Unidos with Leadership for Educational Equity. Louisa holds a bachelor's degree in International Studies from the University of Denver and a master's degree in Curriculum and Instruction from the University of Colorado Denver. Ellie Bold is a first-year Ed.S. student in the Child, Family, and School Psychology program, with a concentration in Early Childhood. She is also a graduate research assistant for the Positive Early Learning Experiences Center. Ellie received her B.A. in Psychology and Journalism & Mass Communications from Washington and Lee University in Lexington, Virginia, and served on several research grants at the Duke Center for Child and Family Policy prior to starting at DU.